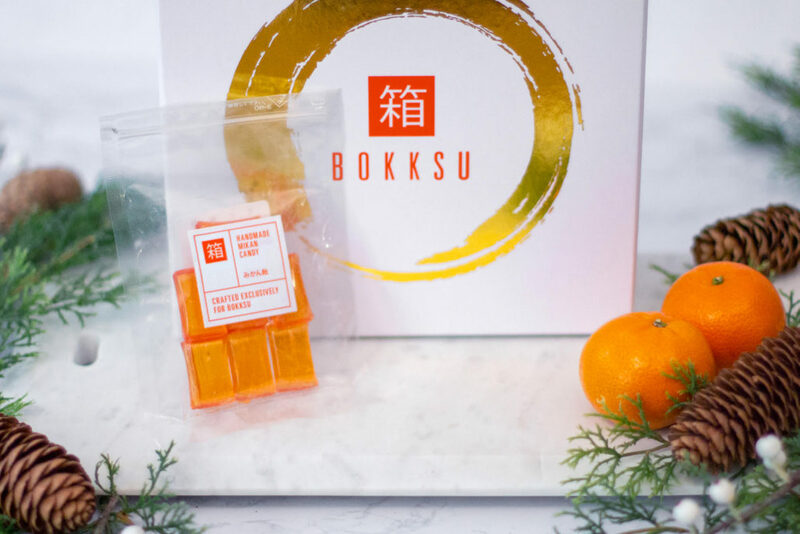 During the summer we introduced you to Bokksu, the ultimate foodie’s guide to Japanese snacks and a great gift idea for snack food lovers. 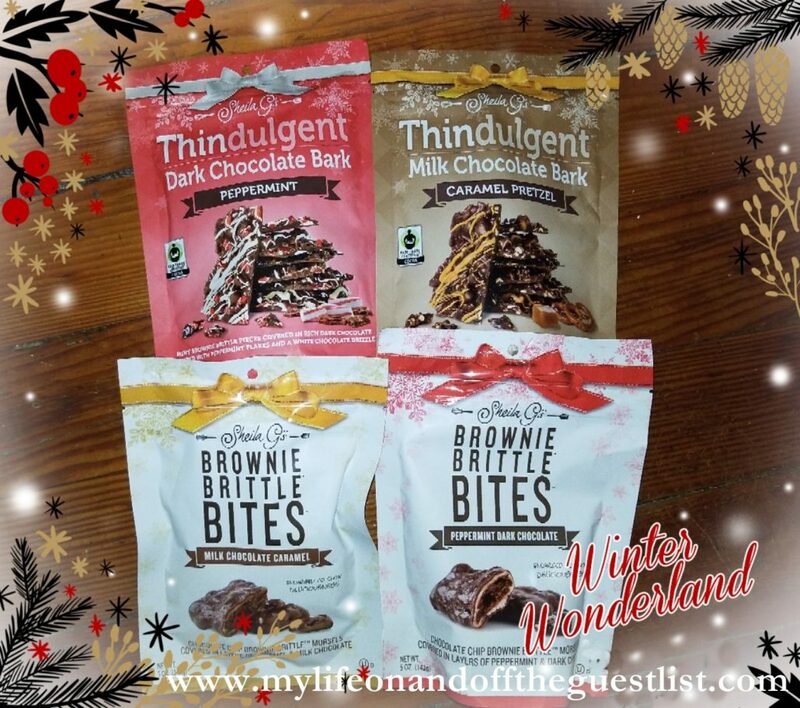 Well, we’re back to remind you why it makes such a great gift during the holiday season; and to highlight meeting Bokksu Founder Danny Taing, the Ambassador of Japanese Snacks. 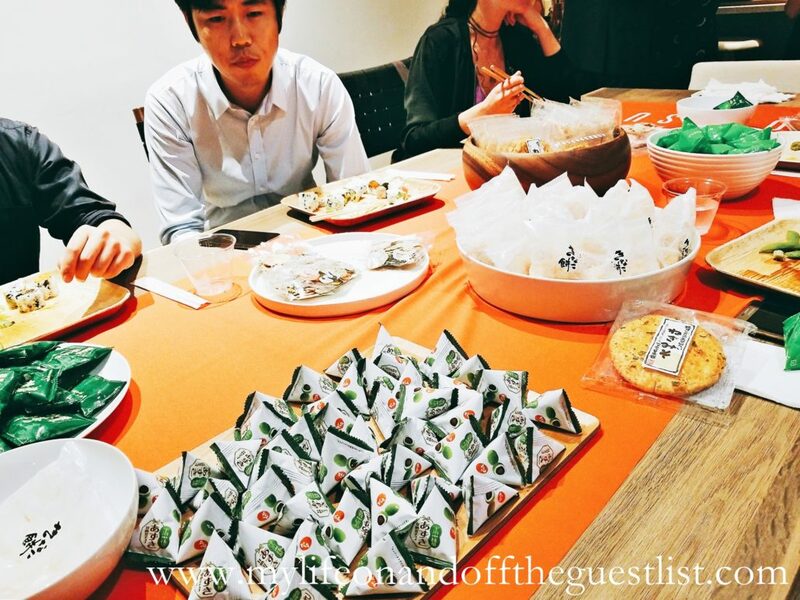 We enjoyed an evening of sushi, sake, and of course Bokksu snacks. We had the delicious opportunity to try some of Bokksu’s exclusive snacks, all of which are not available outside of Japan. 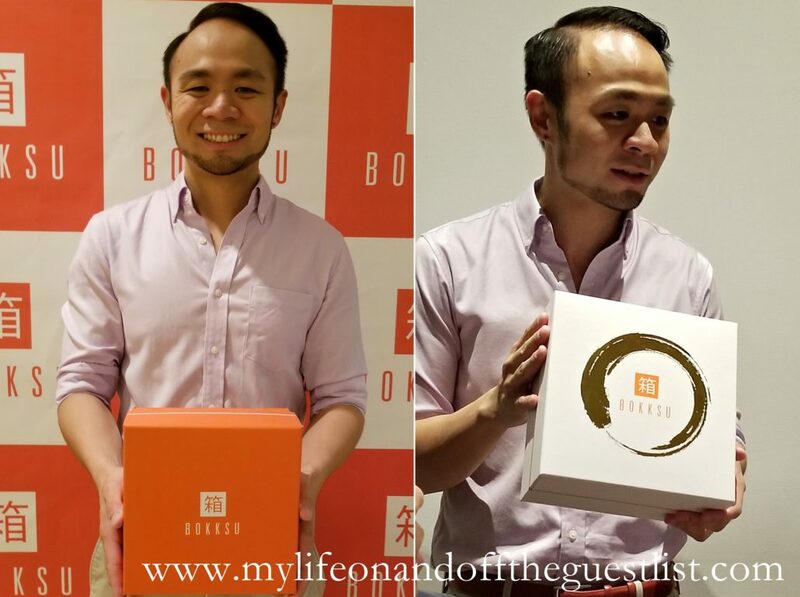 It was wonderful to speak with fellow Bokksu fans, some of whom hold unboxing get-togethers, enjoy the variety of wonderful snacks; and meet the man behind the exclusive subscription snack box. 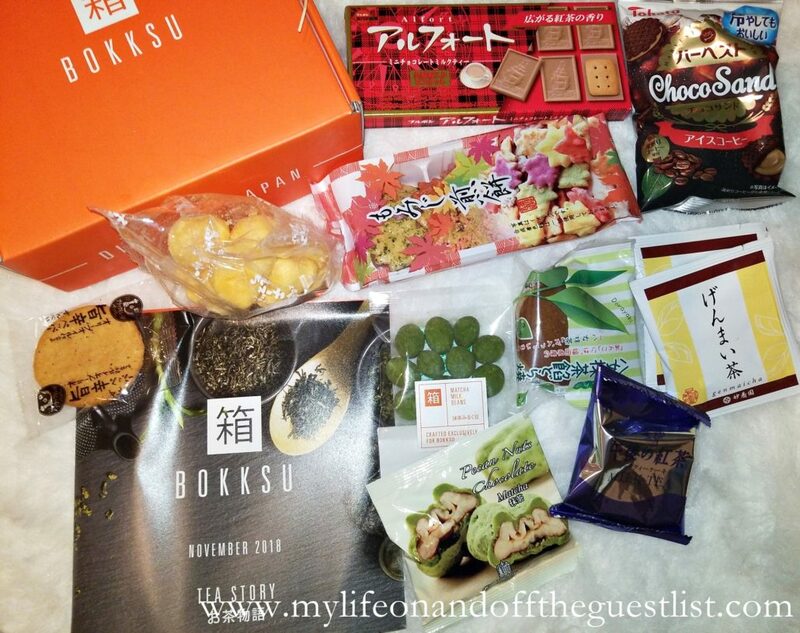 Some of the Japanese snacks we enjoyed include Green Tea Cream Sandwich, an assortment of Foliage Rice Crackers, Edamame Rice Crackers, Matcha Chocolate Covered Azuki Beans, Kinako Mochi, and Olive oil Salt Senbei. 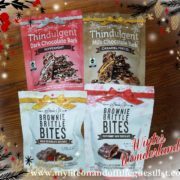 Along with the above-pictured snacks, we also enjoyed exclusive snack reveals from their November and December holiday boxes. 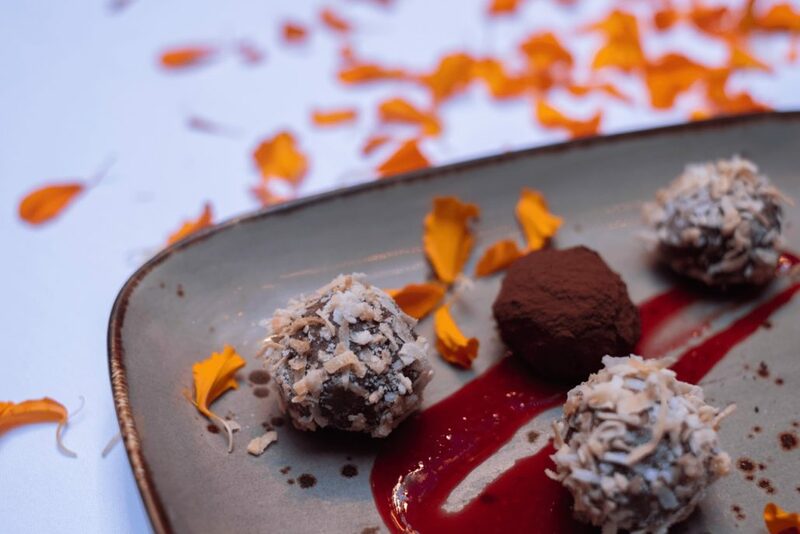 These artisan snacks included the White Chocolate Strawberry, the world’s first chocolate-infused strawberry. 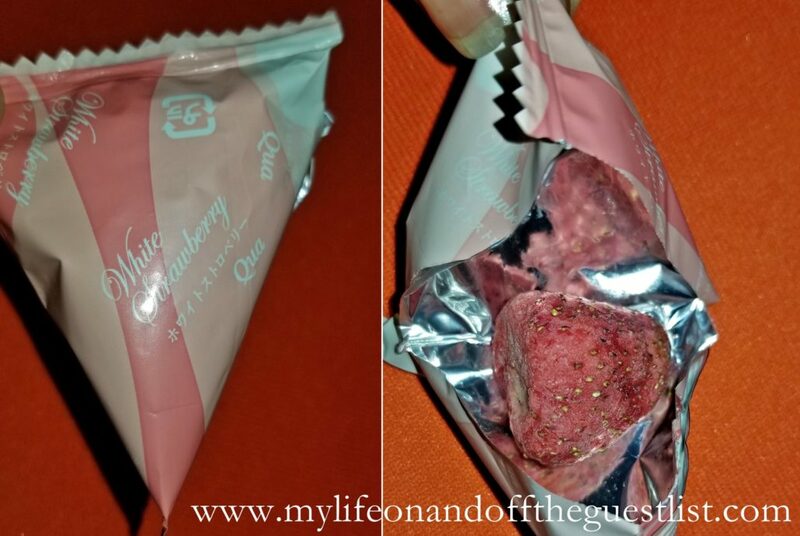 It is a delectable organic strawberry which has been carefully preserved with and infused with White Chocolate for a delicately tart and sweet confection, unlike anything you have tasted; handmade Apple Hard Candy, and Sweet Potato Langue De Chat. Last but certainly not least was the Holiday Bokksu “Snow Festival” snack box, a Limited Edition Bokksu x Bento&Co. 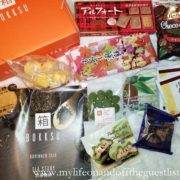 box featuring Hokkaido delicacies. 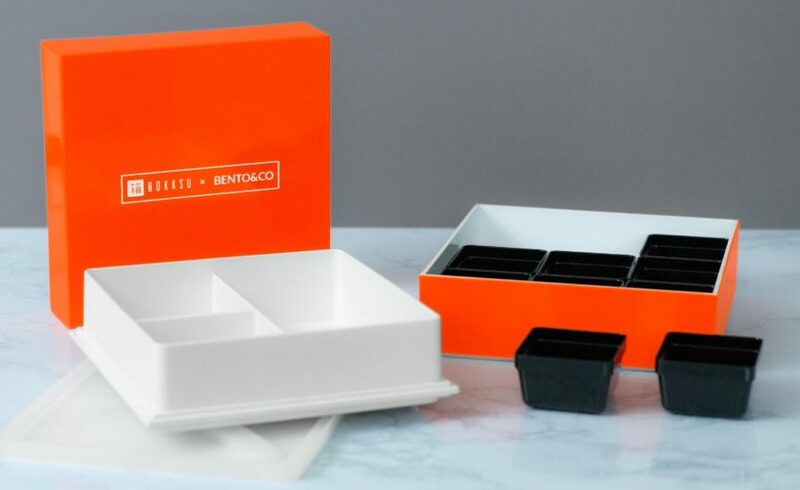 The Holiday Bokksu is the first to feature a pristine white and gold box, with limited edition gourmet Bento boxes available. Hokkaido, due to its unique climate and agricultural focus, is renowned for its wide variety of gourmet cuisines and artisanal delicacies. The December Bokksu features innovative new snacks including the Mimosa of Snow White Chocolate and Cheddar Cheese bars, alongside all-star favorite Bokksu classics such as the White Strawberry (pictured above). 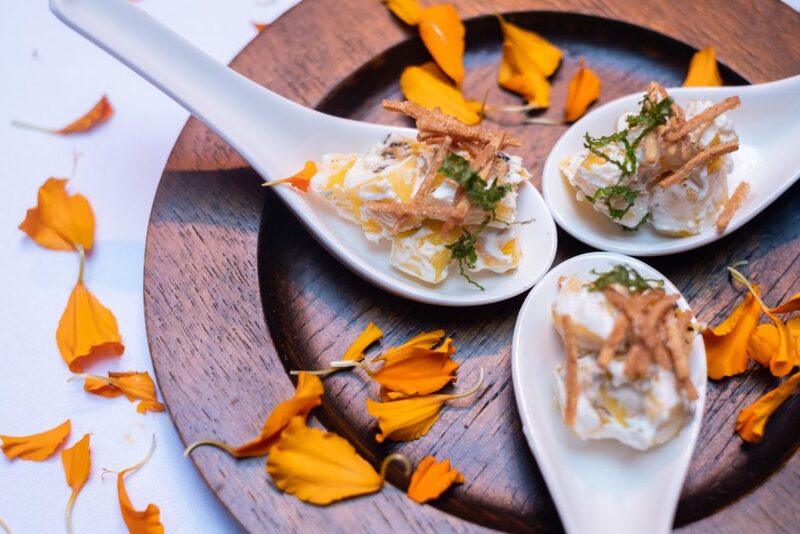 Delicate melt in your mouth savory snacks includes the Milk Mochi and the Potato Butter Rice Crackers. 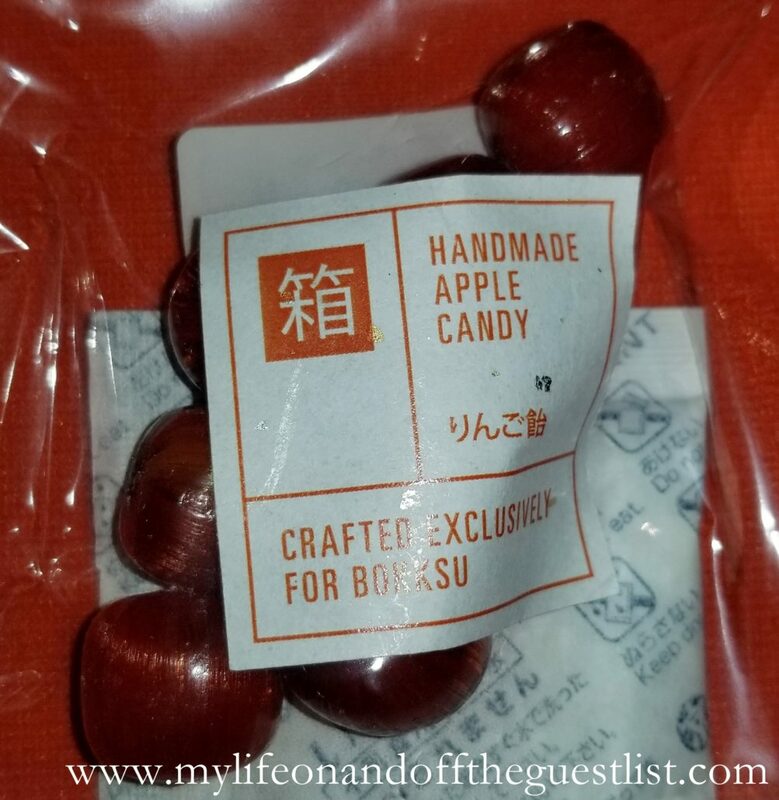 The Holiday Bokksu also includes their brand new private label Mikon Orange Candy and a warming Hojicha Green Tea Latte pairing from gourmet maker Hoshino. You can purchase the holiday Bokksu as a subscription or by itself. 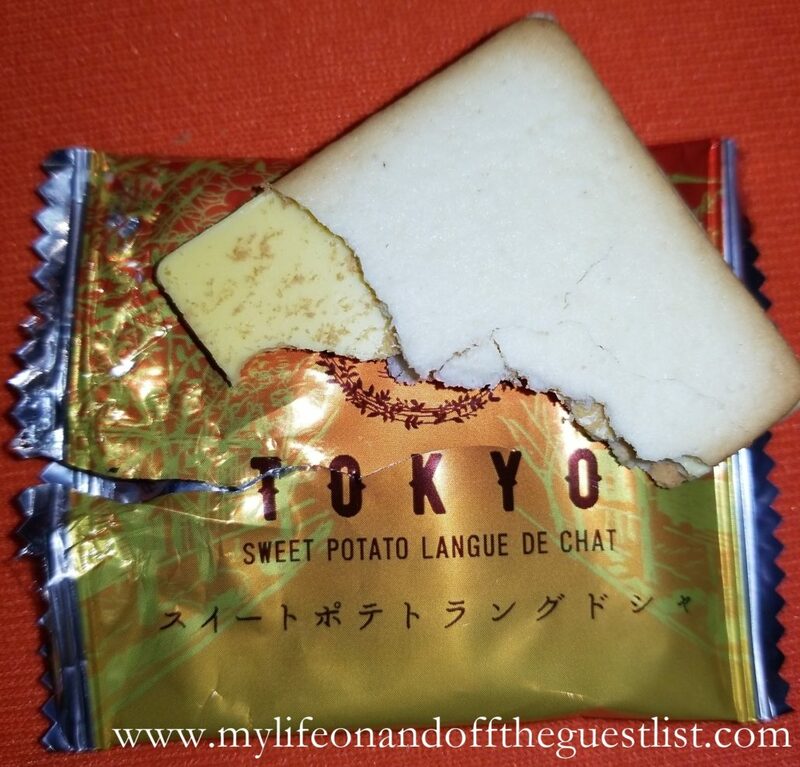 What do you think of these delicious snack offerings from the Ambassador of Japanese Snacks? 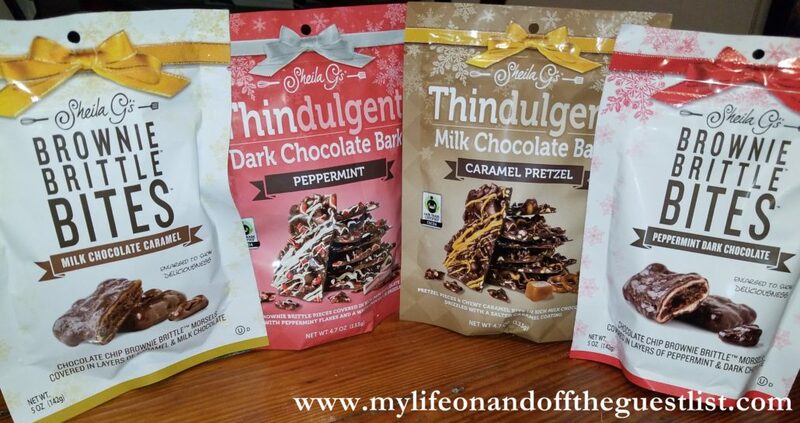 Will Bokksu be added to your holiday gift list for the foodies in your life? Tomorrow is more than just Halloween; it is the beginning of the Day of the Dead, also known as Día de Los Muertos. 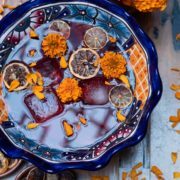 In honor of Mexico’s holiday remembering and honoring the dead, we partook in Rosa Mexicano’s Night of Spirits; a special evening of savory food, exotic drinks paired with desserts, with entertainment by Agave L’Amour and DJ jojoSoul. 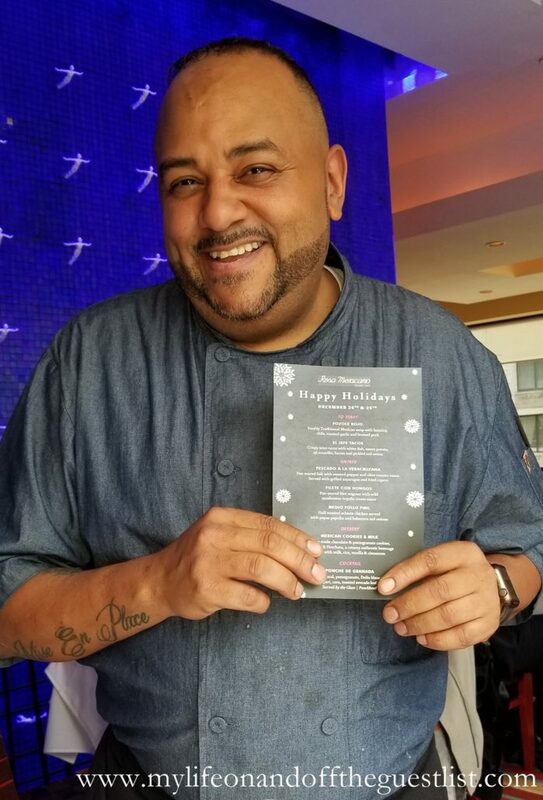 Known for serving New Yorkers authentic and innovative Mexican cuisine since 1984, we were beyond excited to enjoy an evening at Rosa Mexicano Union Square, where they are serving a special Day of the Dead menu at all 11 locations nationwide from Oct. 31st through Nov 4th. 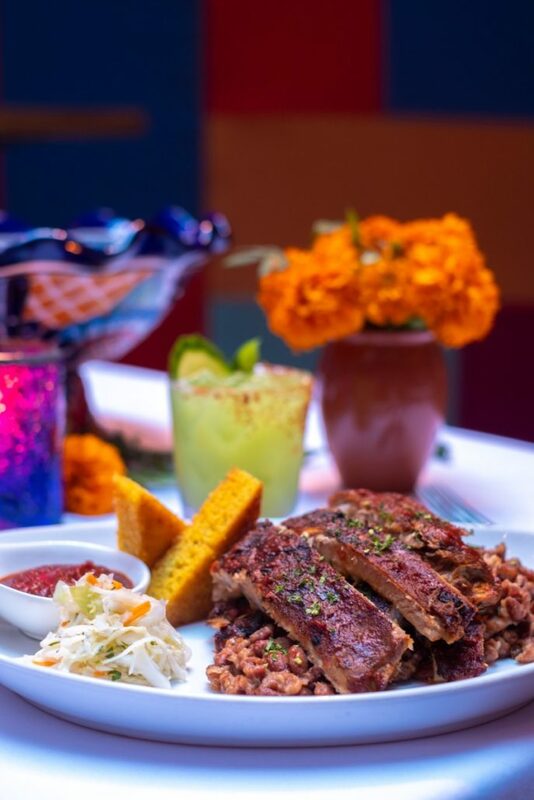 The menu will not only honor your loved ones, it will celebrate the memory of Rosa Mexicano Founder, Josefina Howard. 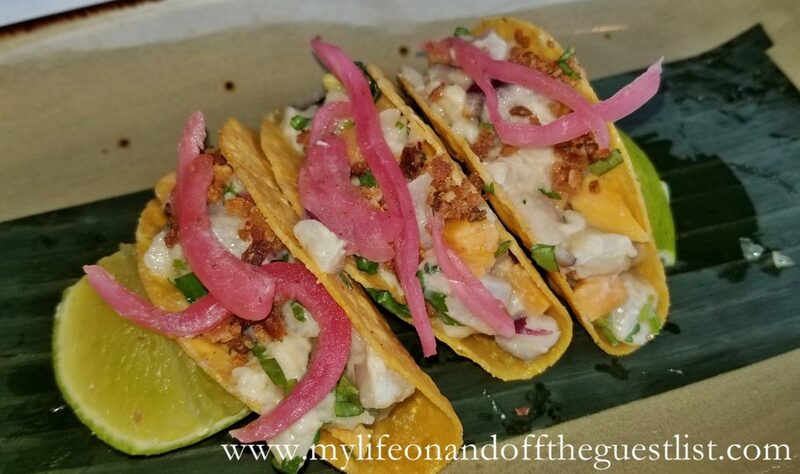 We had the chance to preview the featured menu which boasted a traditional Día de Los Muertos (Day of the Dead) feast, prepared by Joe Quintana, Regional Executive Chef for Rosa Mexicano. 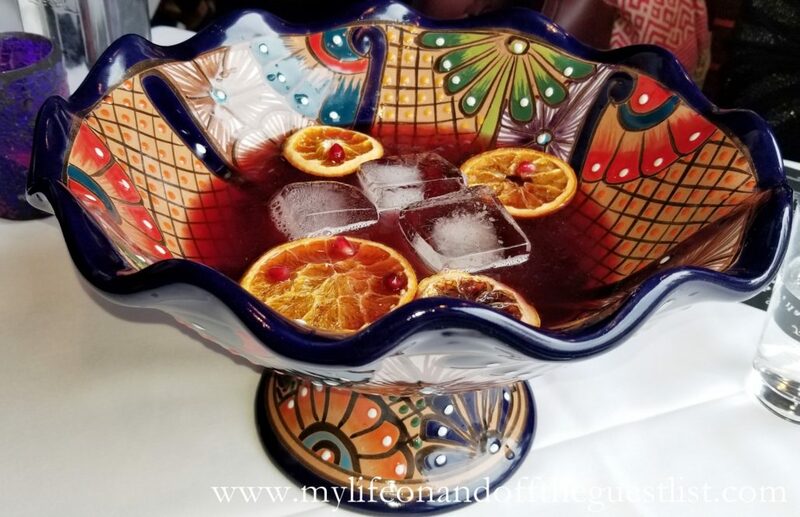 We began with the very special and delicious Maravilla Punch, a blend of Hibiscus and Mezcal, served in a traditional handmade Mexican punchbowl (featured above). 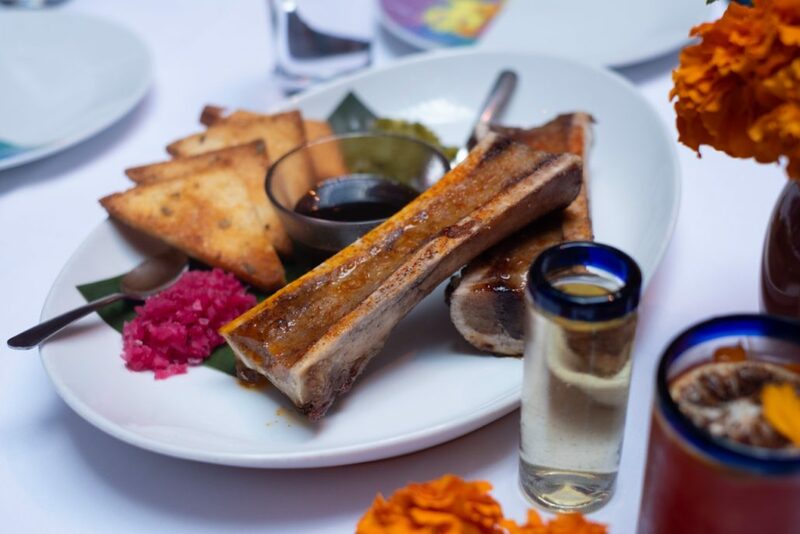 Foodies will love the Roasted Bone Marrow, a Chipotle-piloncillo sauce, grilled jalapeño , and toast; the Estofado De Cordero, a Lamb shank stew with roasted vegetables and epazote gremolata; and the Costillas A La Barbaco, a Tequila-pomegranate BBQ ribs served with charro beans and jalapeño cornbread. 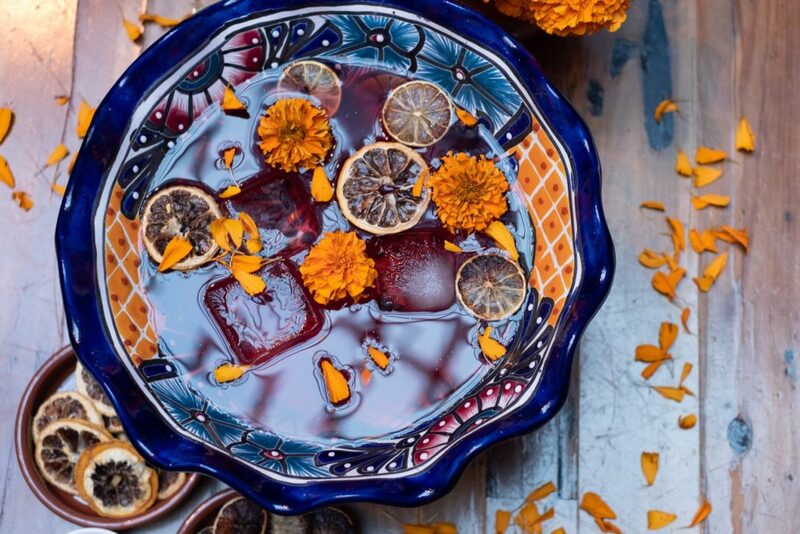 The evening celebrated the powerful rituals of Mexico’s Día de Los Muertos (Day of the Dead), which included the Ofrenda, an altar where you may display portraits of your departed loved ones, in a moving ceremony of remembrance. 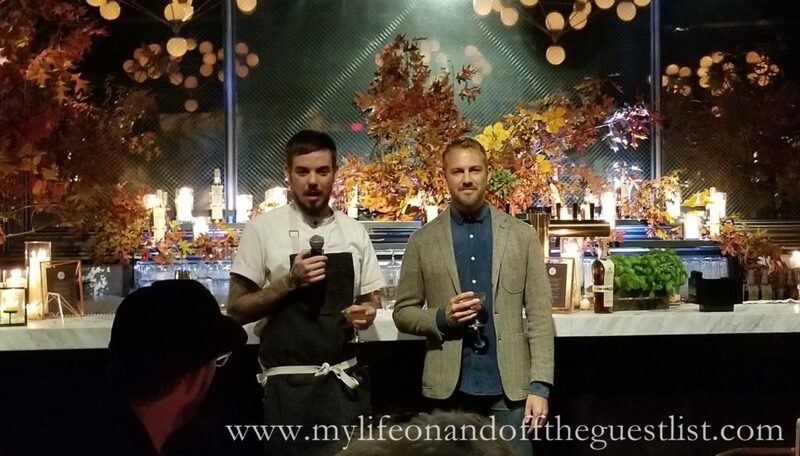 Four desserts were paired with a unique variety of four Agave spirits: Mezcal, Raicilla, Bacanora, and Sotol. 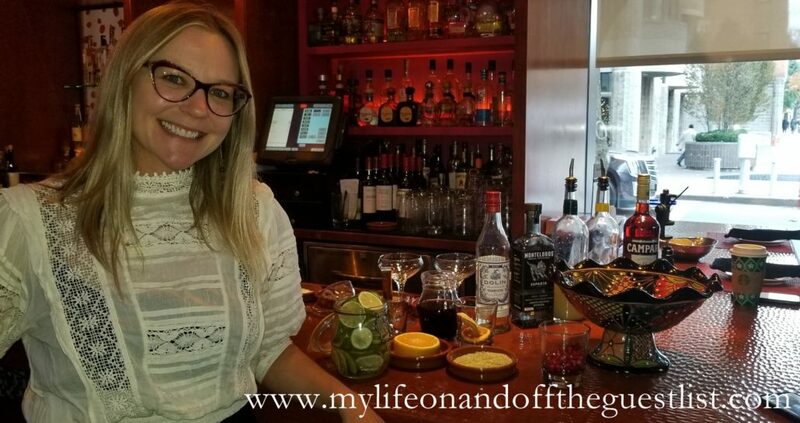 All four spirits have been specially curated by Rosa Mexicano’s Courtenay Greenleaf, one of New York City’s few Master Mezcaliers. 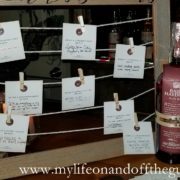 Agave Spirit Sponsors For Night Of Spirit Events + Calavera Cocktail included Montelobos Mezcal, Casa Noble Tequila, Bacanora Rancho Tepúa, Fidencio Mezcal, LA HIGUERA. 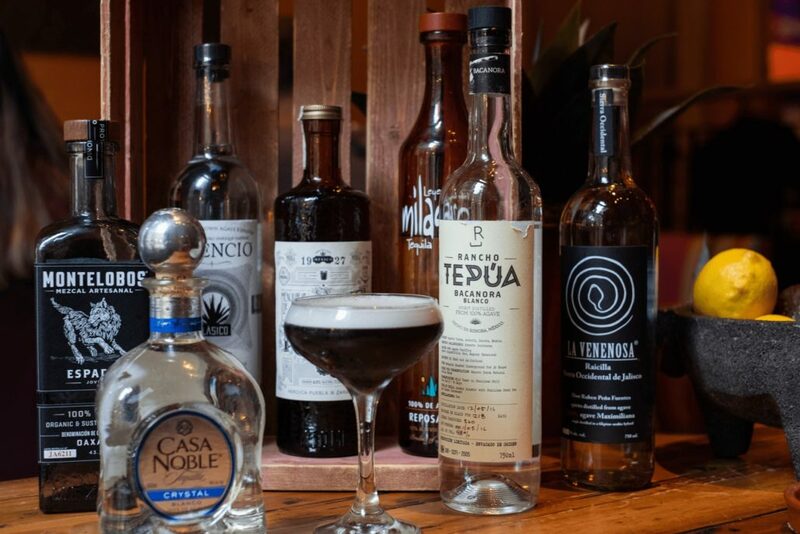 la Venenosa raicilla, Ancho Reyes, Tromba Tequila, Derrumbes Mezcal and Milagro Tequila). 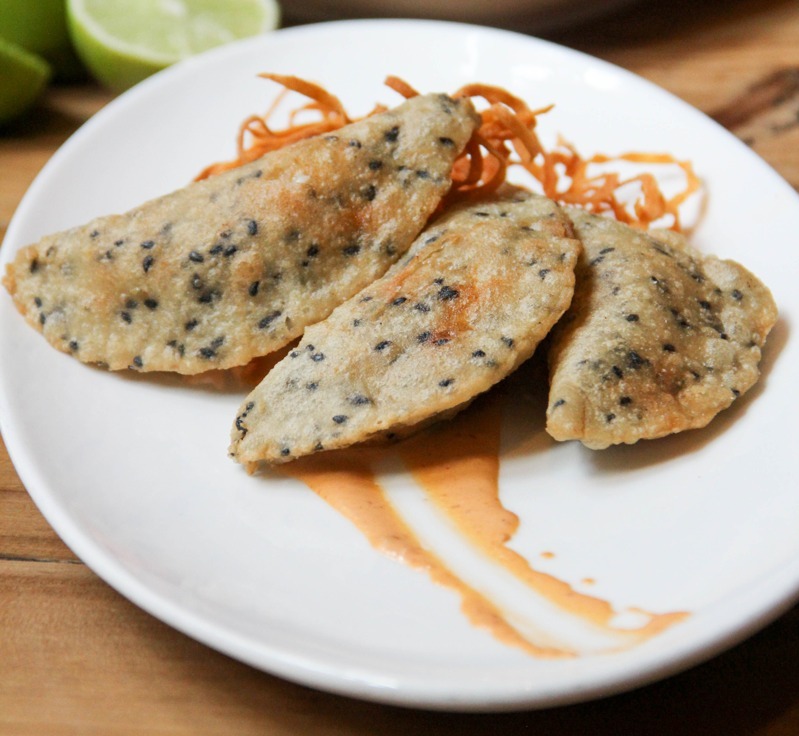 Empanadas de Camote (Corn and sesame empanadas, stuffed with sweet potato, peas and spiced pecans). 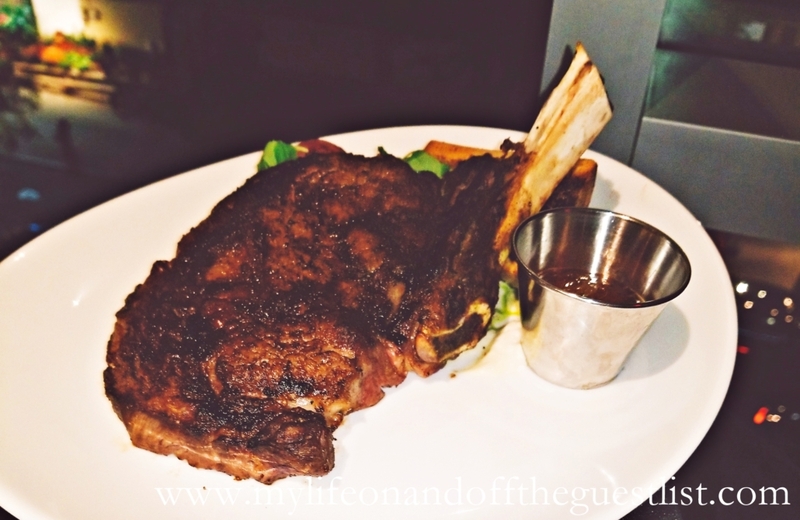 Served with chipotle sauce. 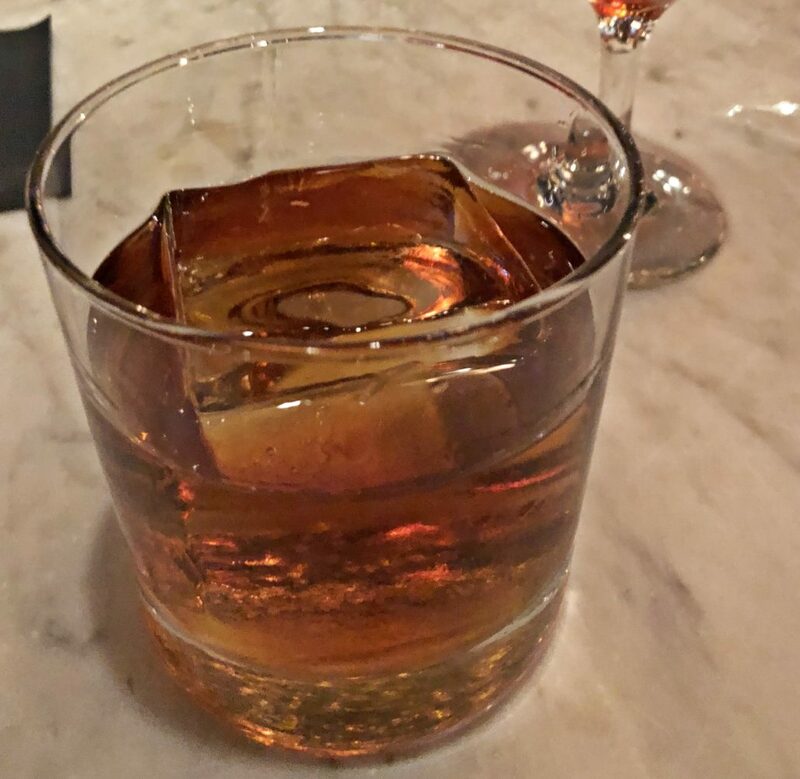 Paired with: Tromba Añejo tequila. 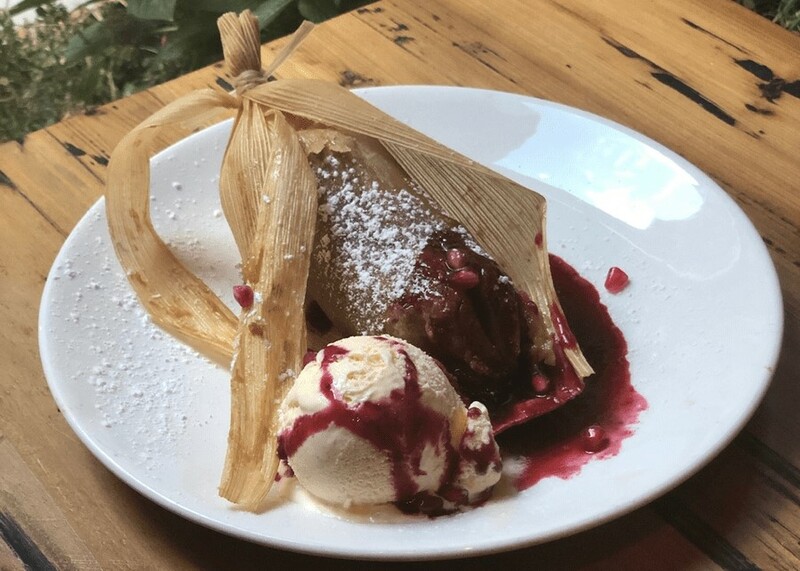 Tamal y Camote (Roasted sweet potato and cajeta tamale served with pomegranate sauce and vanilla ice cream). 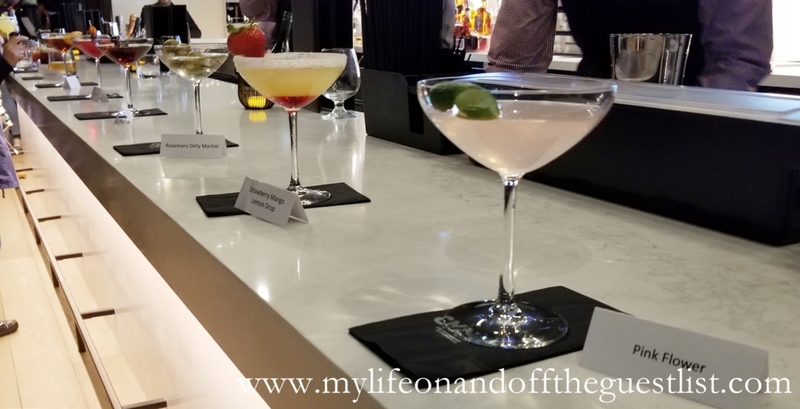 The term dinner and a movie have long been stated, but CMX Cinemas has elevated the traditional date night experience to new delicious heights with the opening of the NEW CMX CinéBistro New York experience. 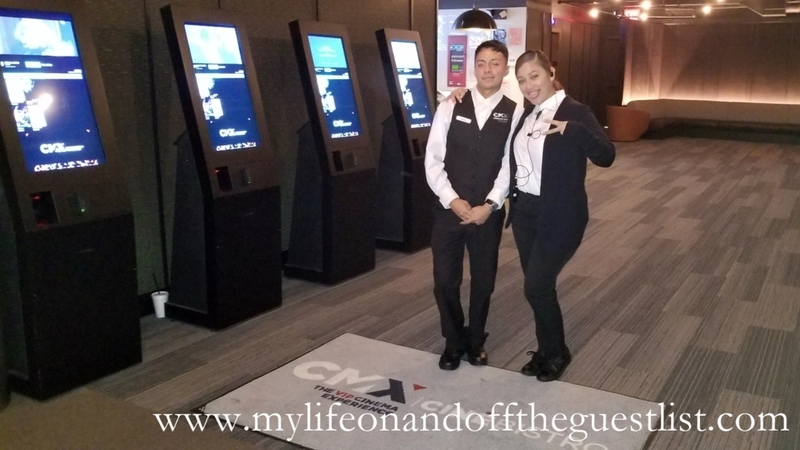 CMX Theaters, the eighth largest movie theatre chain in the U.S, promises and delivers a VIP movie-going experience at the CMX CinéBistro New York. 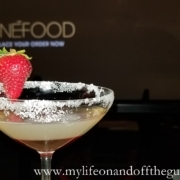 With a full bar and kitchen, guests are able to enjoy the full experience of enjoying a 5-star dinner and the latest movie release in one location. 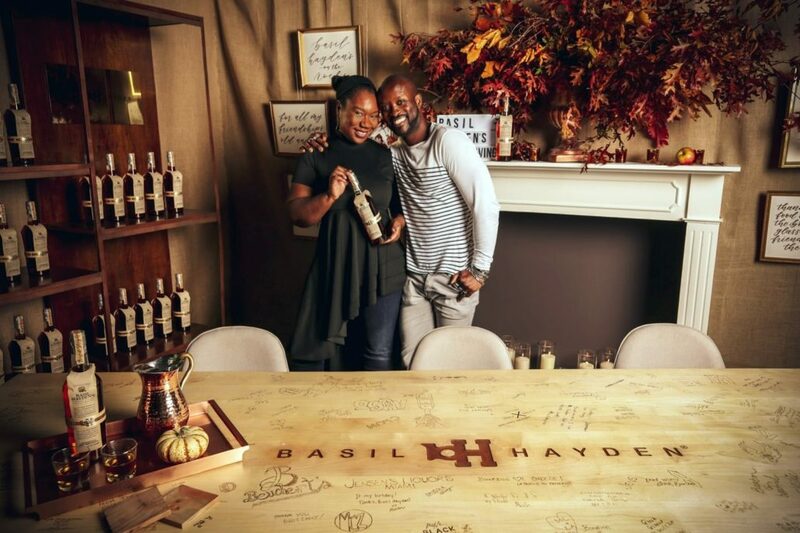 We had the pleasure of partaking in a VIP dinner-and-a-movie experience prior to the grand opening; enjoying an array of remarkable curated cocktails, and delectable culinary dishes by Chef Isaac Stewart. The 45,500 sq. 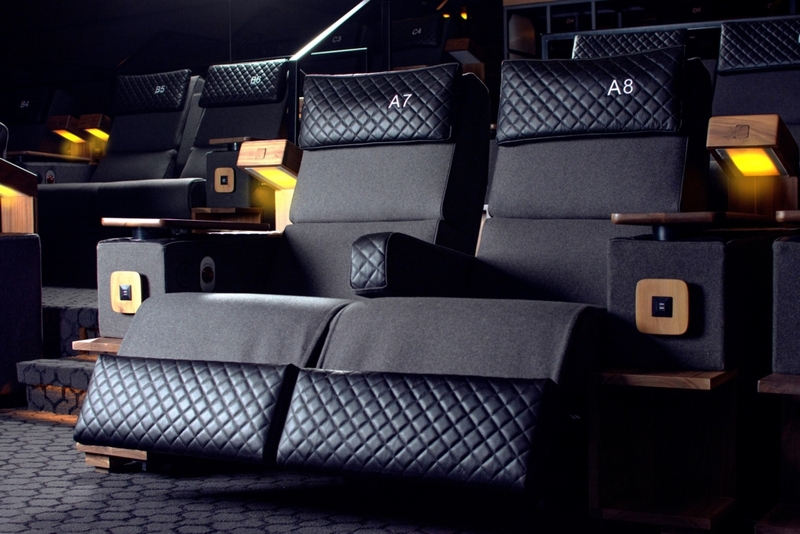 ft, newly enhanced CMX CinéBistro New York theatre comes complete with cutting-edge audiovisual technology. Luxury-seeking moviegoers will enjoy an upscale and relaxing experience with its high-end décor, oversized upholstered reclining seats with leather accents, in-seat dining with seamless service and an exceptional assortment of wines and handcrafted cocktails made to order by top mixologists. We loved the option of seeing what seats were available and selecting our own seat. The theater has six auditoriums, two on each level, ranging in size from 46 to 64 seats; and immersive bars in the common areas. 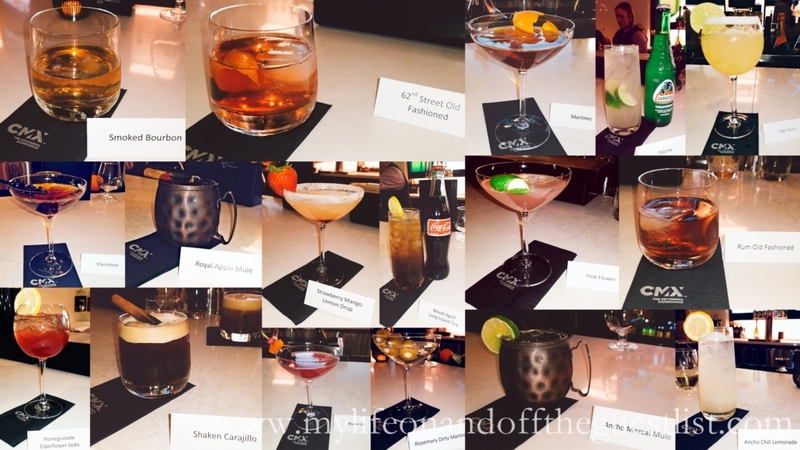 Since the CMX CinéBistro New York theatre has on-site bars, you must be 21 and over to attend after 6pm. 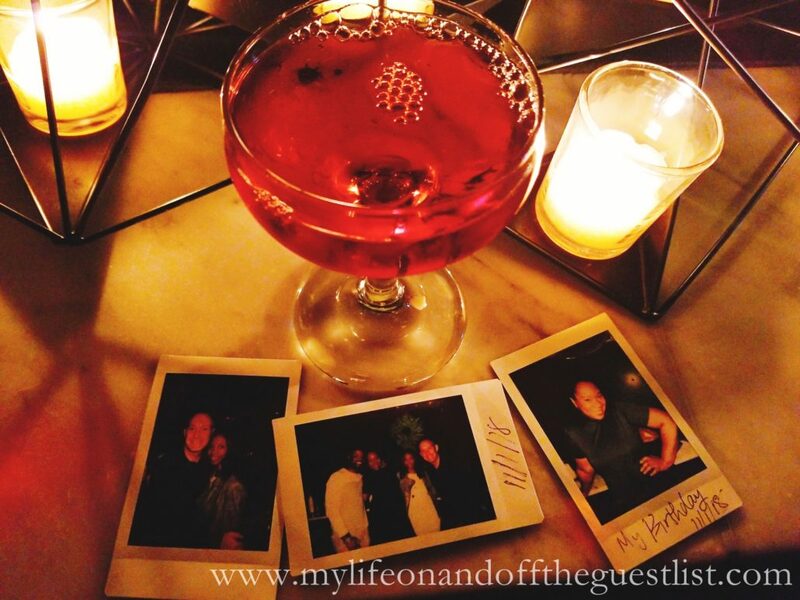 During our CMX CinéBistro New York VIP experience, we truly enjoyed the personalized service allotted to all guests. 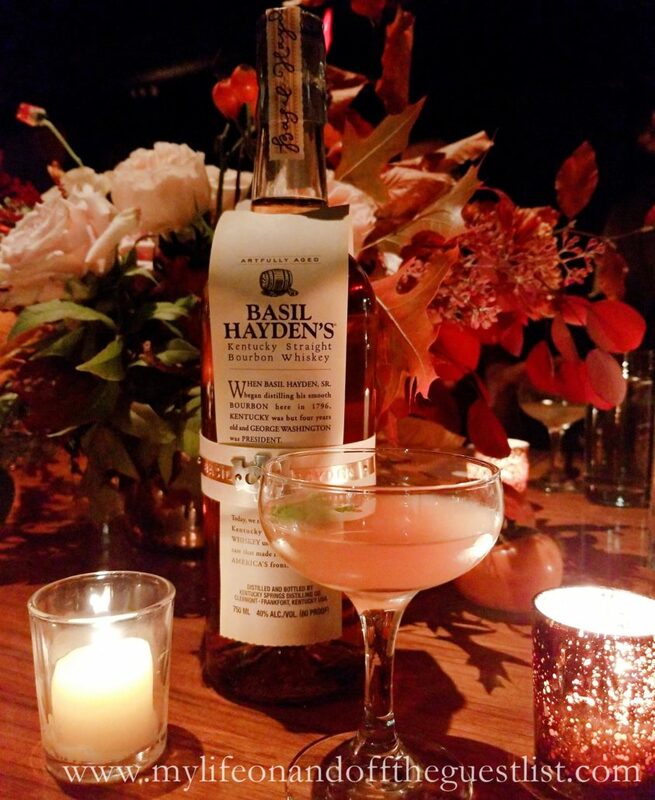 Our evening started off with a cocktail created by one of the on-site mixologists. 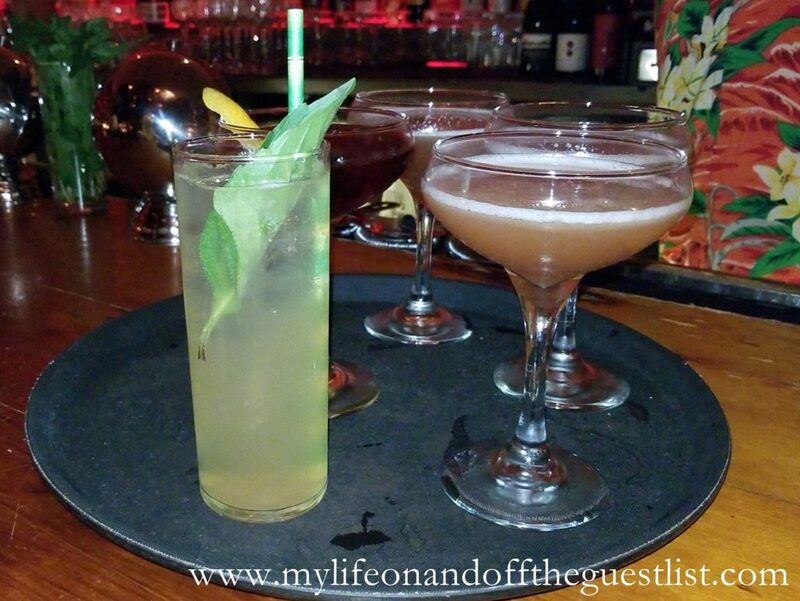 The immersive bars offer a variety of artisanal cocktails ranging from classic to stylish modern options. 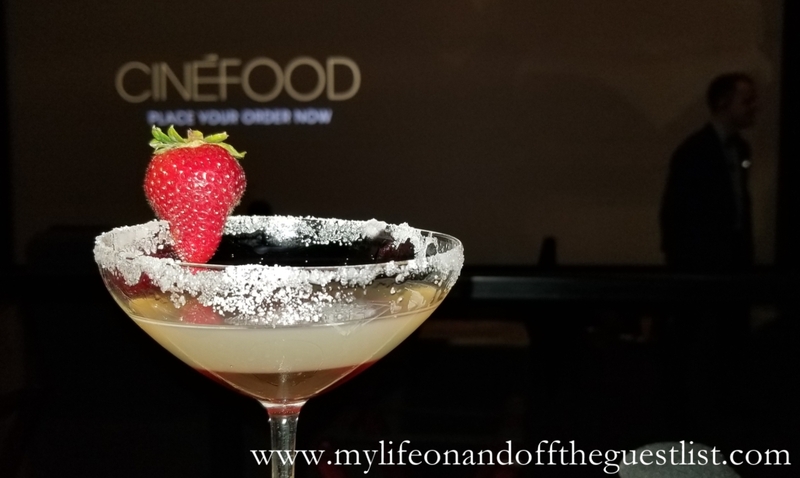 Before our movie, we opted for the wonderfully crafted and equally delicious Strawberry Mango Lemon Drop. 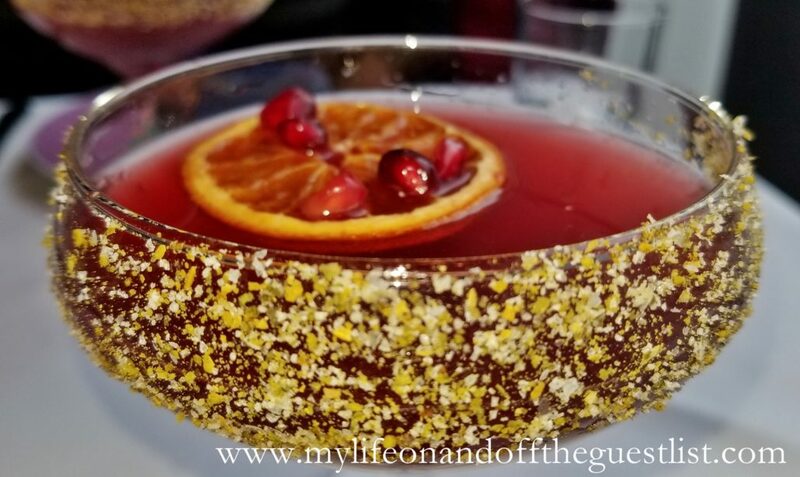 While seated, we opted for the equally delicious Pomegranate Elderflower Soda. 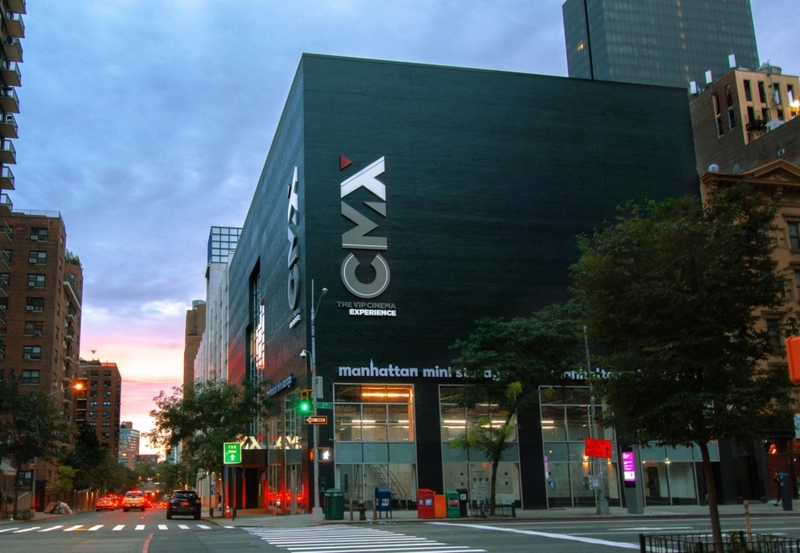 To take advantage of the in-theatre dining at the CMX CinéBistro New York theatre, guests must arrive 30 minutes before showtime. 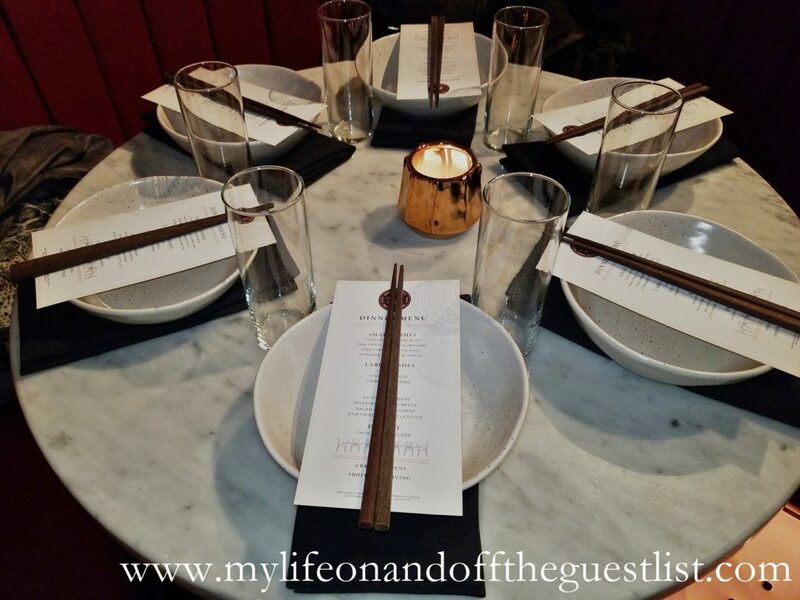 This allows time to place your order and have plenty of time to sit back, relax and enjoy your meal. 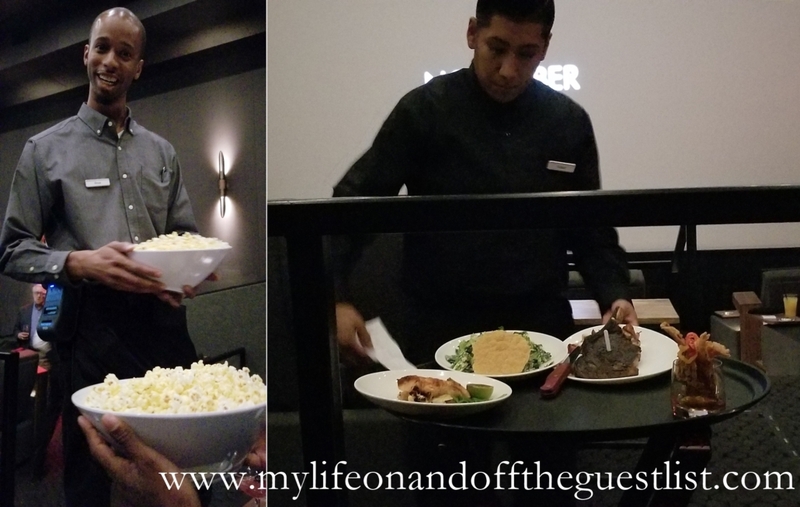 Speaking of meals, while we could order the typical movie fare of popcorn and soda, we wanted to experience the full VIP service. 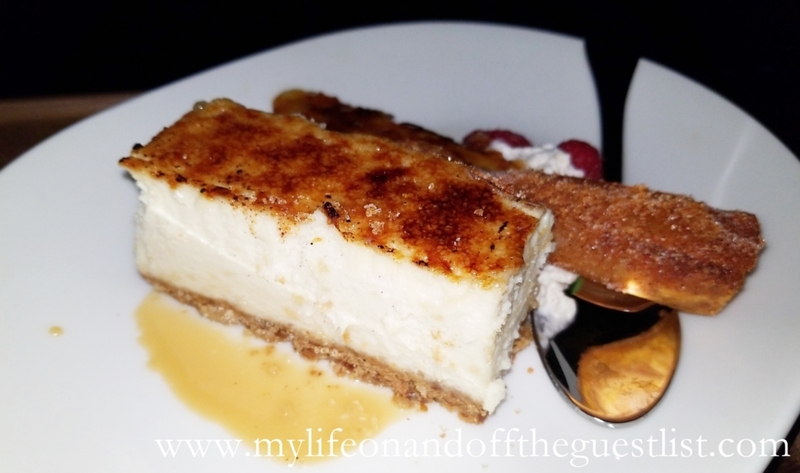 We ordered the Lobster Cannoli as our starter; the BBQ Spiced Rubbed CAB Cowboy Ribeye as our main; and the Caramelized Banana Cheesecake for dessert. 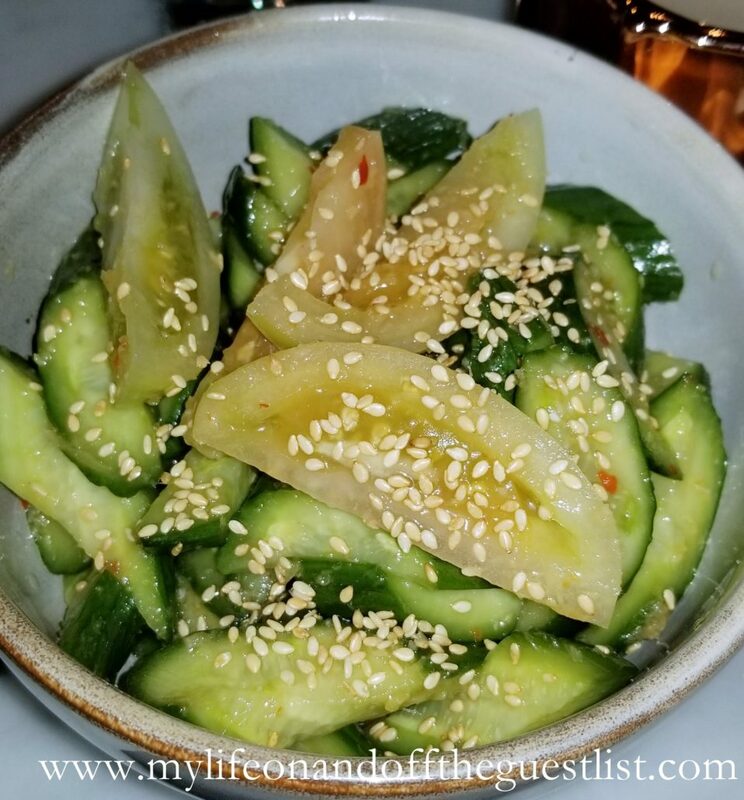 Don’t worry vegans, you are not left behind; CMX CinéBistro New York theatre offers such dishes as Korean Cauliflower Wings, Meatless Cobb Salad, and Lentil Kefta Veggie Burger. All in all, the experience was top notch. 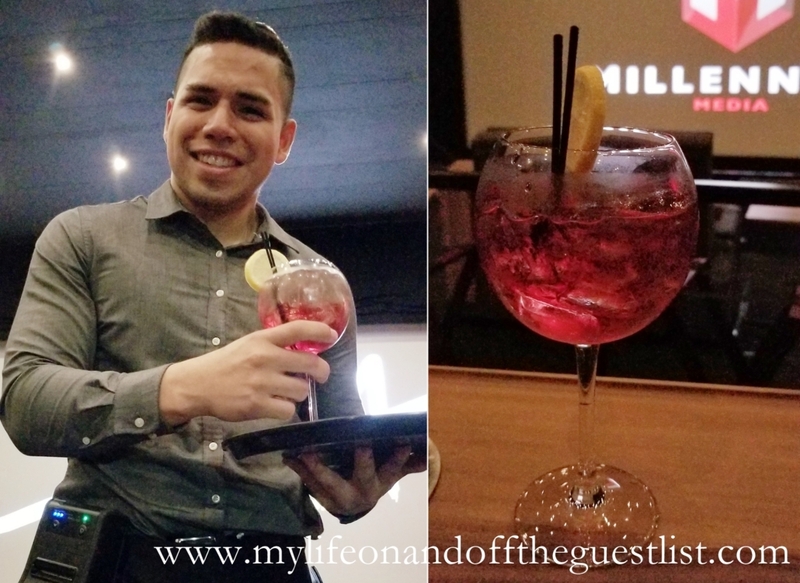 The staff was incredibly friendly and attentive; the cocktails and dinner were divine; it’s the perfect dinner and a movie date night….elevated, of course. Well worth the return visits. 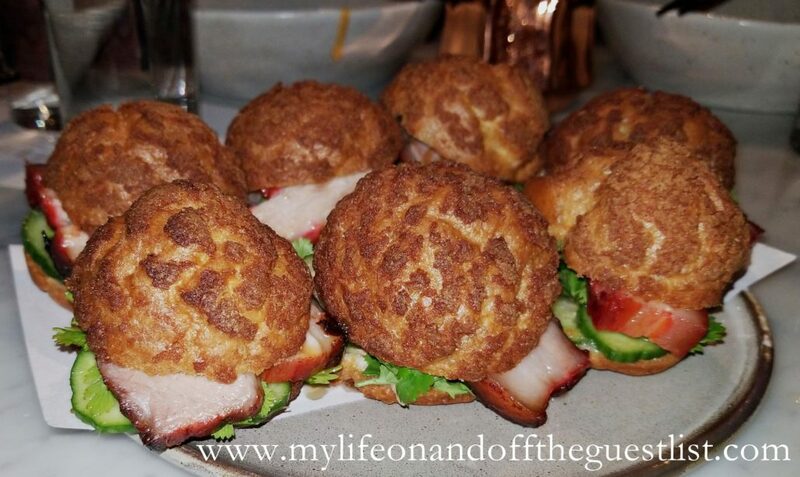 Three years ago, blogger buddy, Christine Ongsueng, an I had the pleasure of reviewing La Pulperia Hell’s Kitchen. 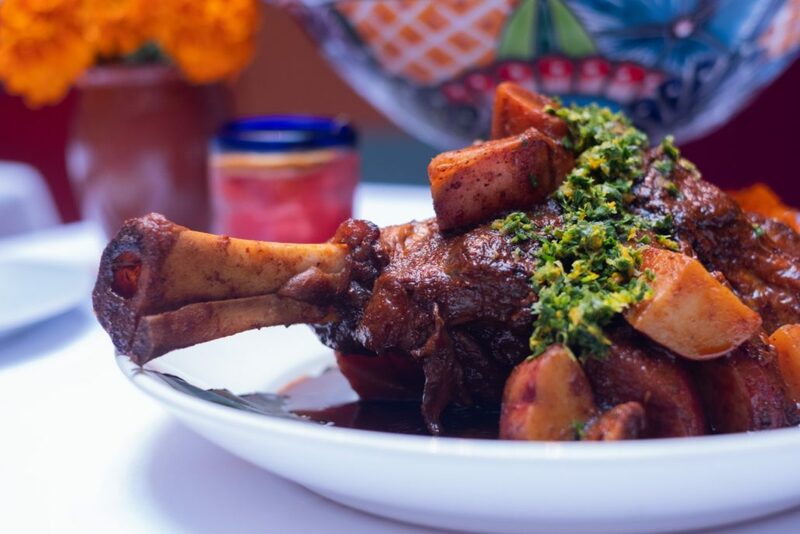 It’s only fitting that we return to experience the menu of the La Pulperia Upper East Side location. 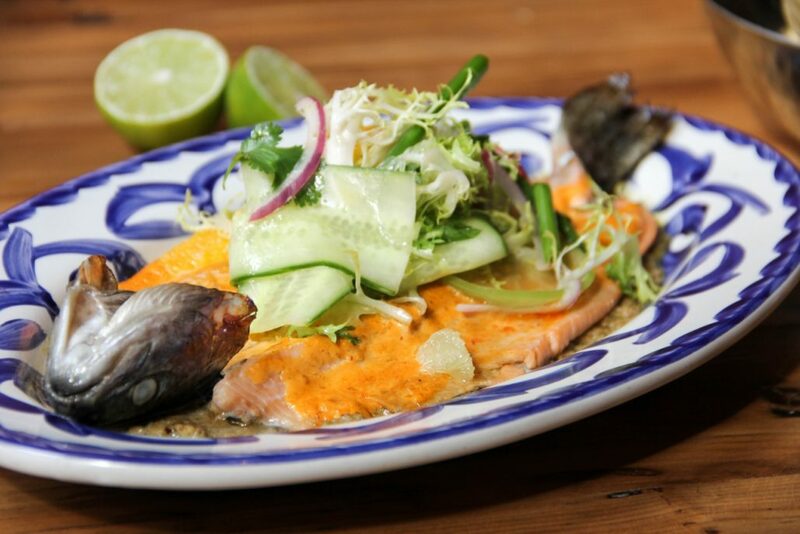 Seafood savvy Upper East Siders have known about La Pulperia Upper East Side for four years. Now that the 2nd Avenue line is in full swing, it’s easy for everyone else to get to the restaurant– it’s right off of the 86th St. stop. 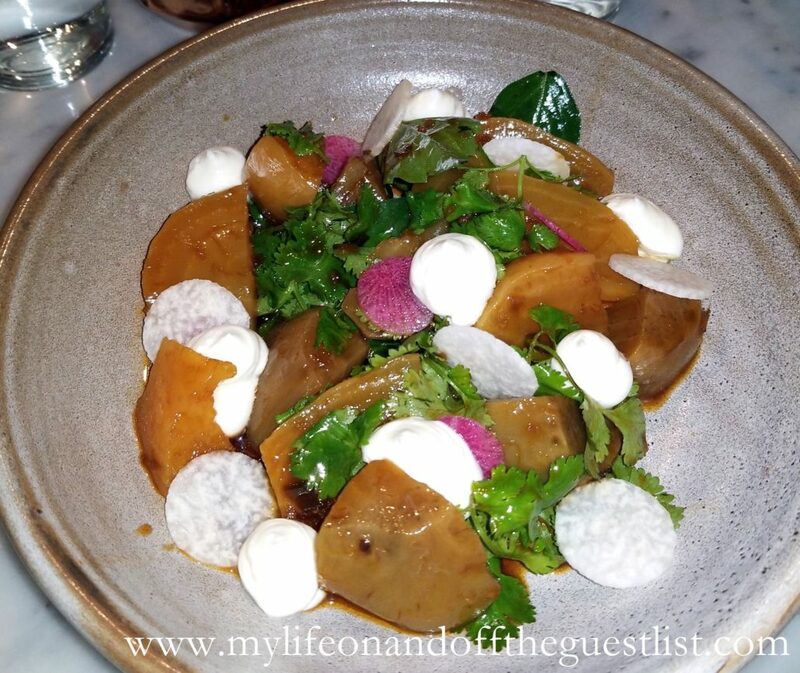 Join us as we share our second experience from Chef/Owner Carlos Barroz and Victor Medina. 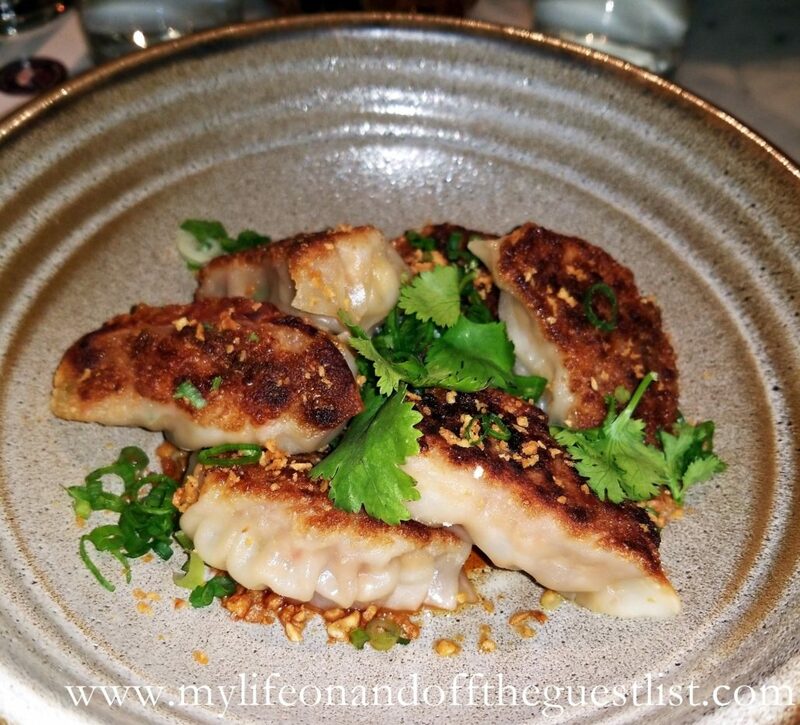 Unlike its sister location, the La Pulperia Upper East Side is spacious and airy, yet inviting and cozy. 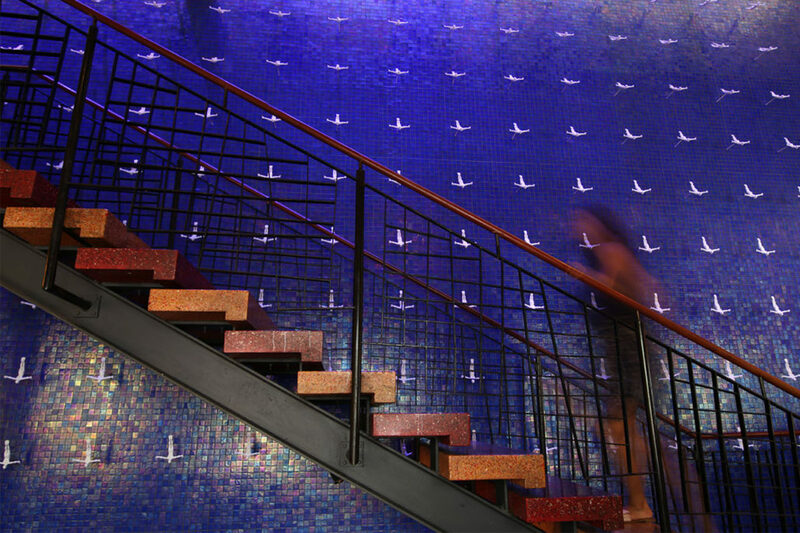 Named and designed after the general stores or pulperias of South America, the decor features accents of reclaimed Brazilian wood and handcrafted tiles from Mexico lining the bar floor. Christine: For something refreshing and lightly fruity, you can’t go wrong with The Coquito Passion. 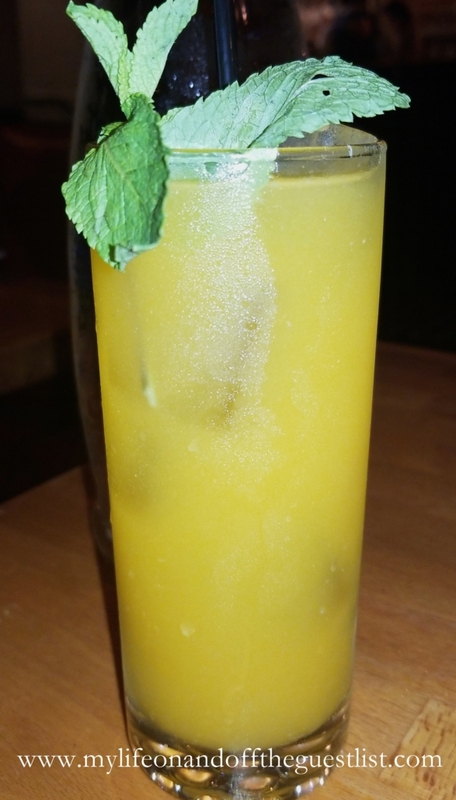 Made with Bacardi Silver, Don Q Coconut Rum, passion fruit puree, agave nectar, and topped off with a sprig of mint, it’s like a tropical paradise in a glass. 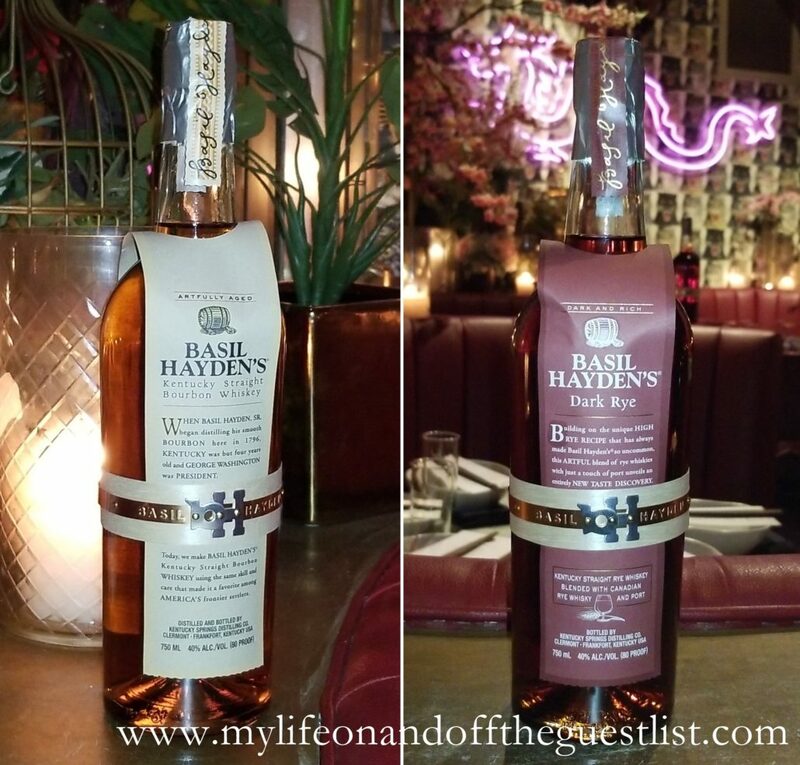 I can’t ever resist anything that mixes up rum, passion fruit, and agave. 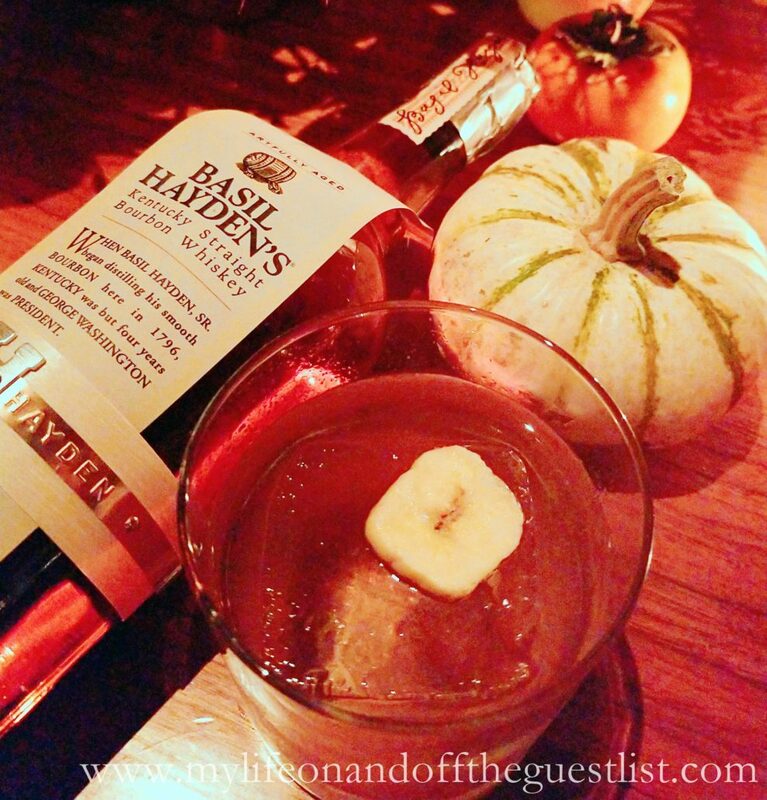 It was the perfect drink to imbibe on a balmy September night. 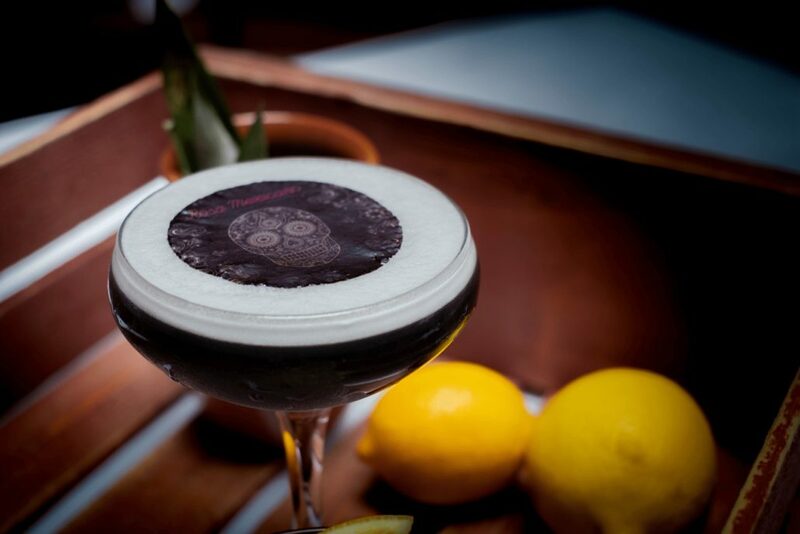 Glasgow: In celebration of the ending of summer, we wanted a cocktail that was slightly sweet yet a bit tart. 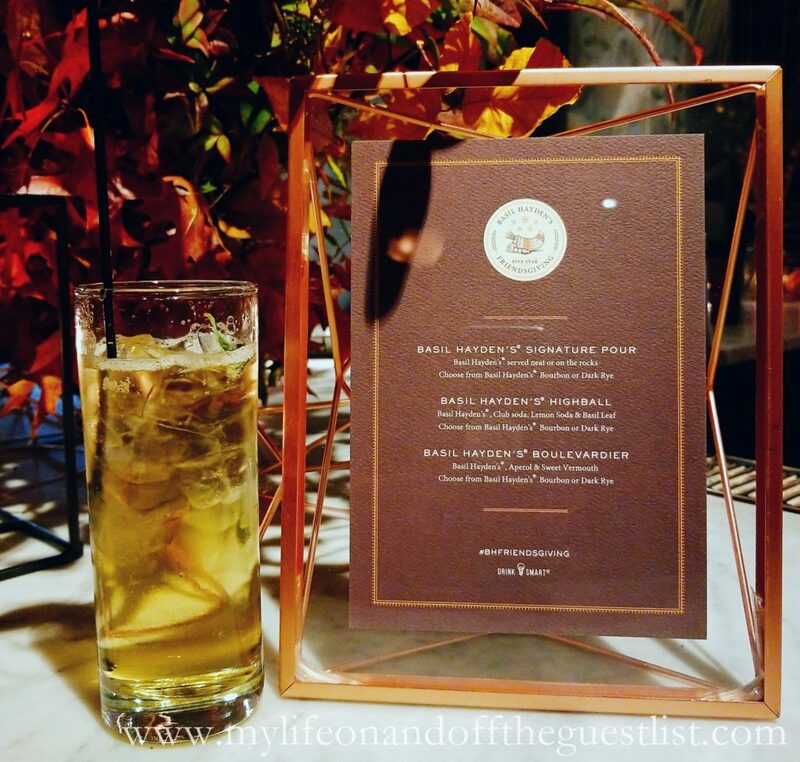 The elegant Upper East Side Lady cocktail was a perfect choice. 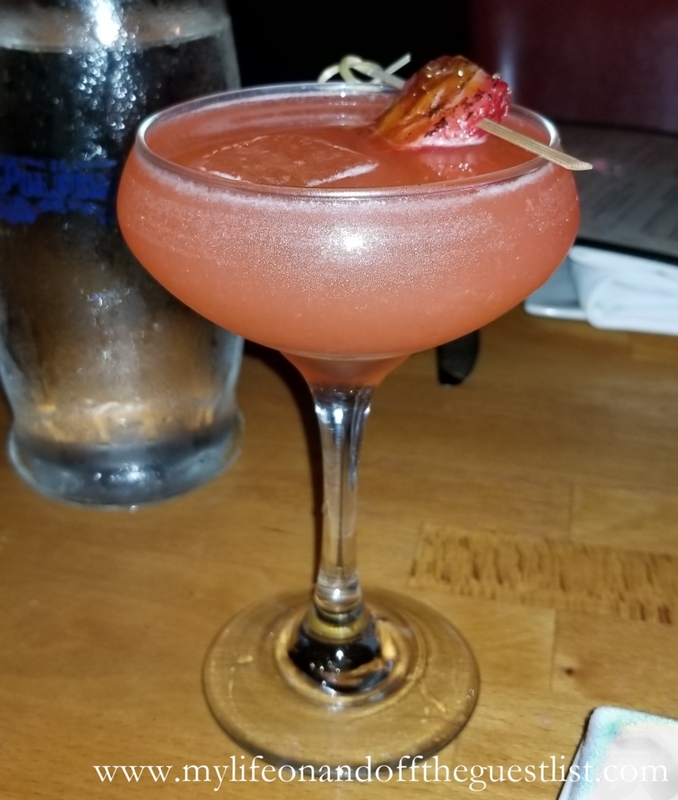 Featuring Strawberry infused gin, Elder Flower liquor, lavender nectar, and Gold flakes, this lightly floral cocktail was a great choice to start our evening. 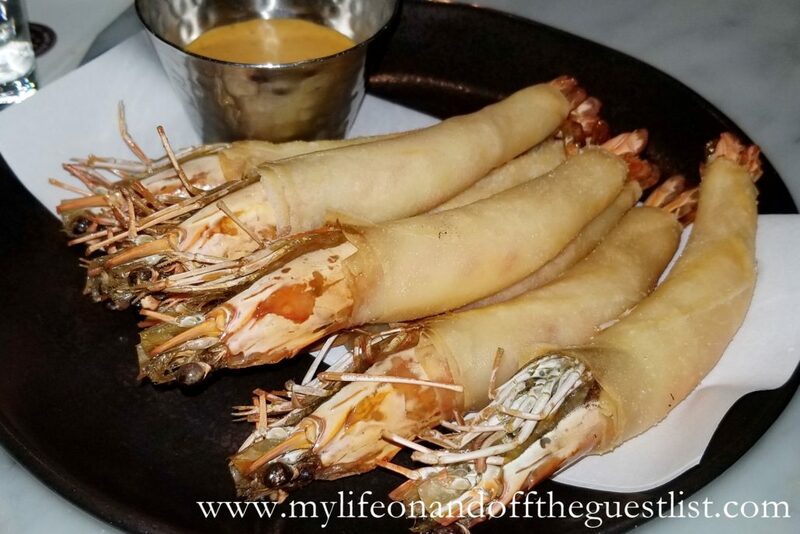 Christine: I usually shy away from things that are described as spicy but the operative, and convincing word here, was lobster. 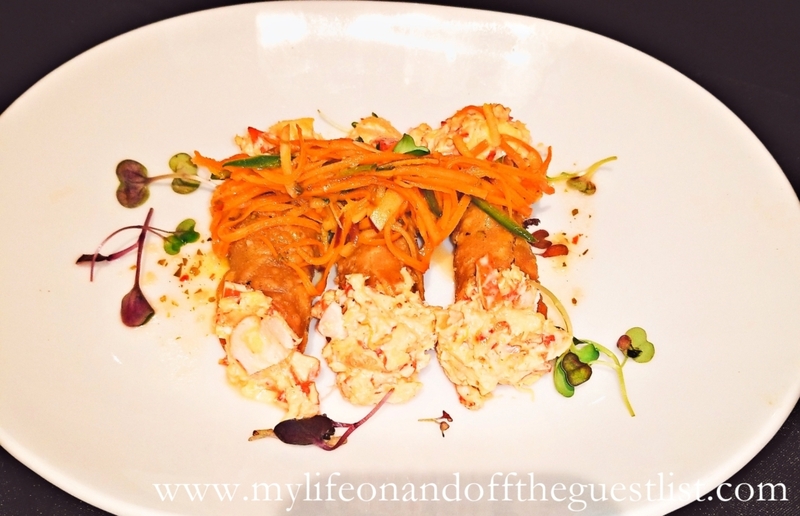 I love lobster and I was eager to try it enveloped in a crispy wonton taquito with some avocado cream and grilled pineapple. There is a bit of a kick to these due to the spicy Kewpie mayo. 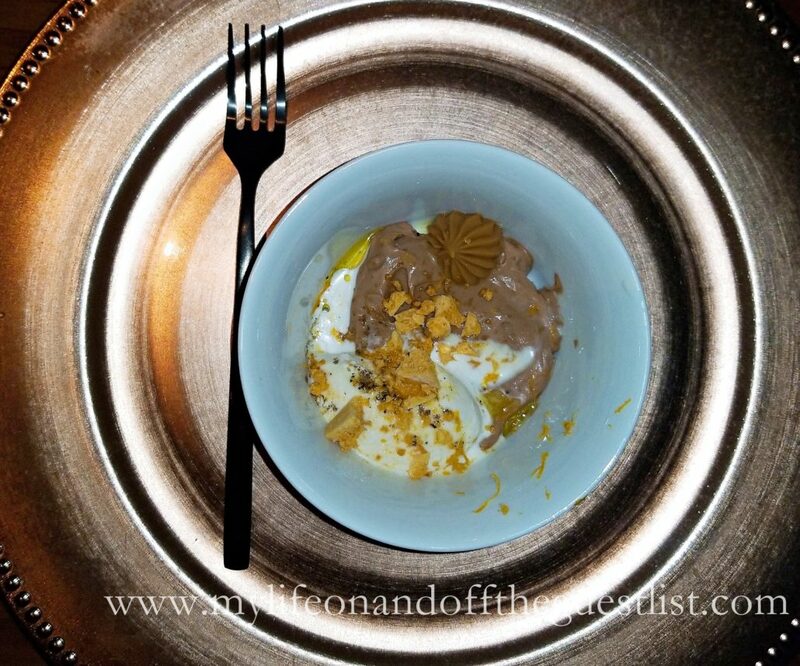 However, the citrus juices from the pineapple along with the equalizing and smooth avocado cream helped to offset the spiciness. 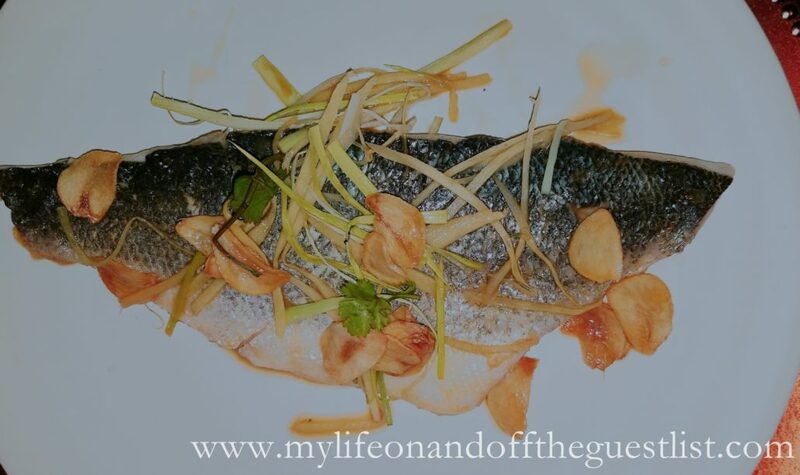 Glasgow: The seafood lover in me was in pure bliss. 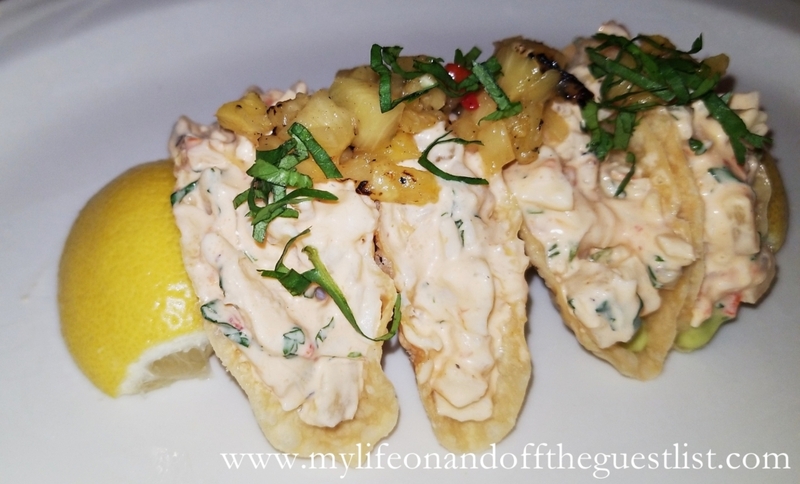 The combination of creamy avocado and spicy Kewpie mayo, the smoky sweetness of grilled pineapple, and fresh lobster was divinely enhanced with a generous squeeze of lemon. 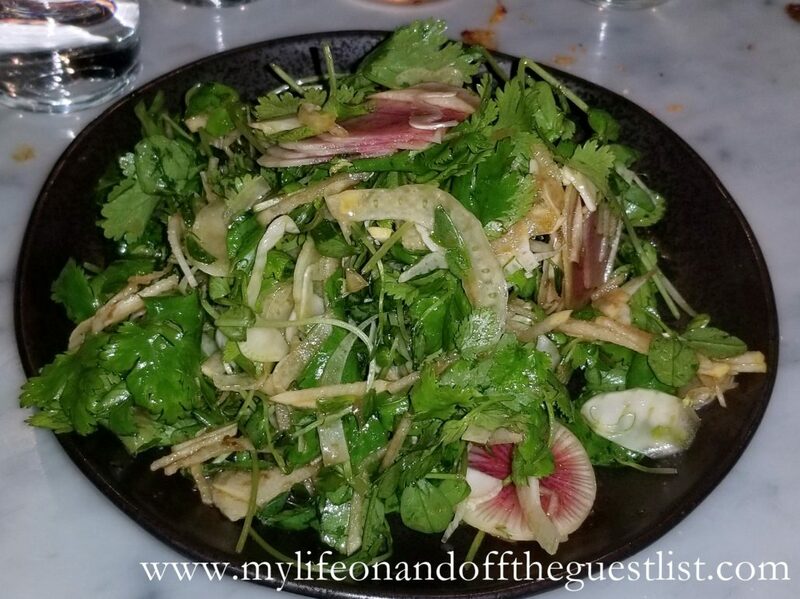 Although this starter was delicious on its own, the zest of lemon added another dimension to its flavor. Christine: Determined to train my palette to more spicy dishes, we ordered this appetizer containing 5 black ink tempura-covered oysters that sit on top of a small dollop of spinach cream and topped with chipotle mayo, blue cheese, and scallions photogenically cradled in a shell-shaped serving dishes. 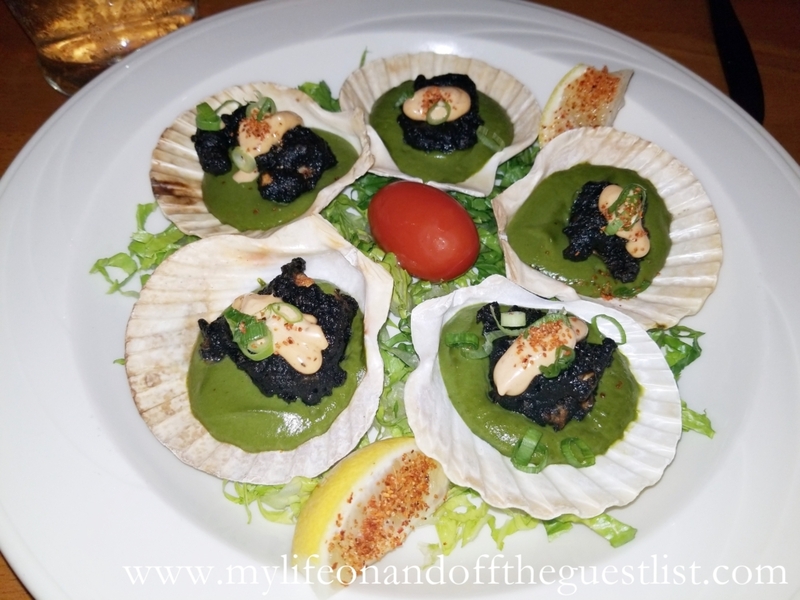 Who would have thought that oysters would go so well with an almost mousse-like spinach topping? Be forewarned that the lightness of the spinach cream and mayo can be a bit deceiving. 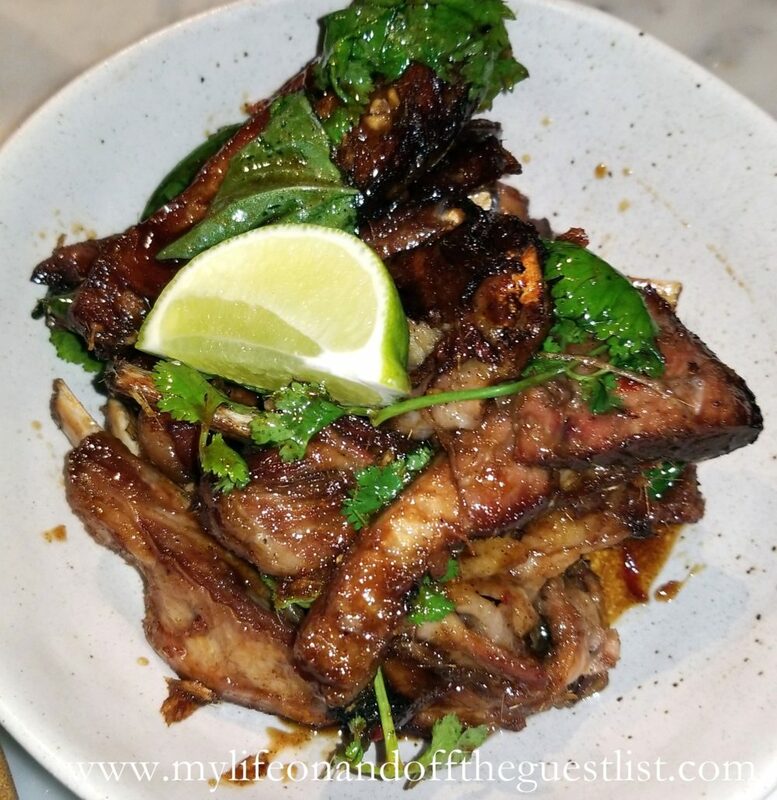 While contemplating the complex mix that overwhelms the blackened oysters, the spiciness permeates your taste buds and lingers long after you’re done. For my next helping, I made sure to squeeze some lemon on top to cut back on the spicy mayo’s attack… then again I could be just a wimp. 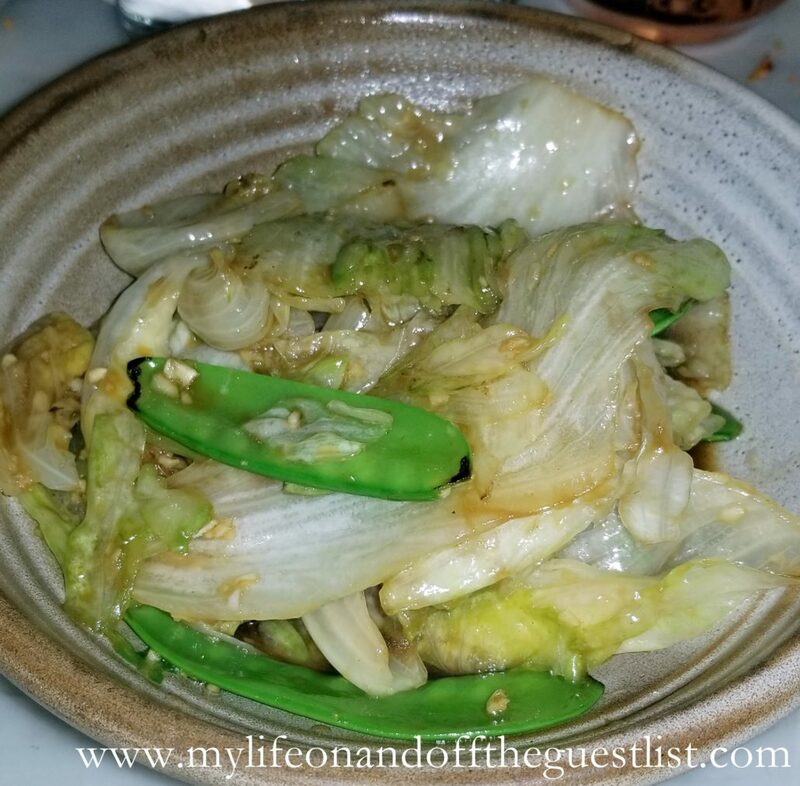 Glasgow: I have to admit that I had never tried fried Oysters before but I am so happy that La Pulperia Upper East Side was my first foray into this delicacy. 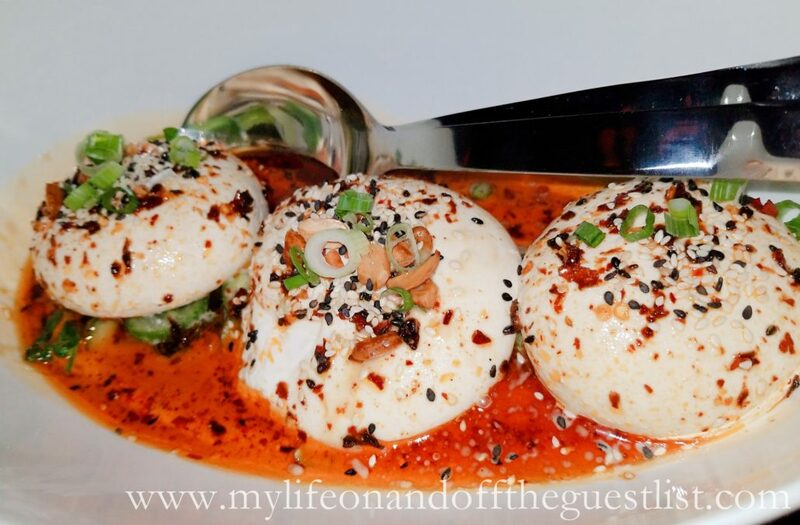 As a fan of spice and spicy foods, every bite was bursting with the right amount of heat and flavor. The flavor and texture layers of Black ink tempura, cream spinach, blue cheese, and chipotle mayo is an exciting feast for your taste buds. I must also comment on our slight addiction to the amazing cream spinach the fried oysters are plated on. I can enjoy it on and with just about everything. 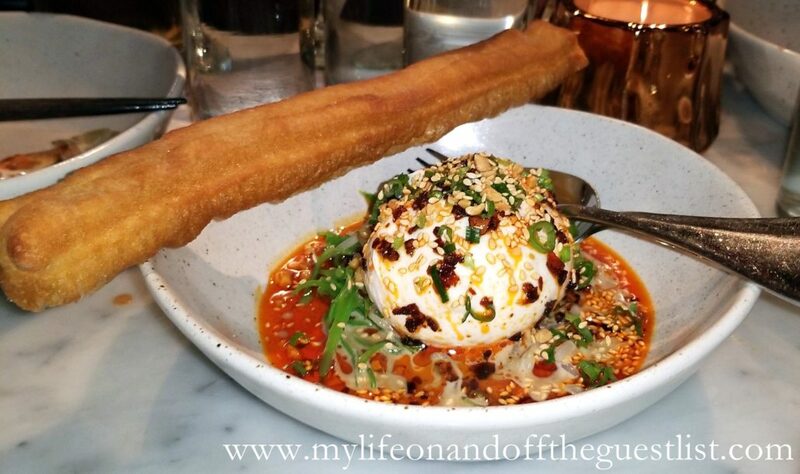 Christine: If you’re like me and you tend to have a problem deciding what to get, then this bowl’s for you. 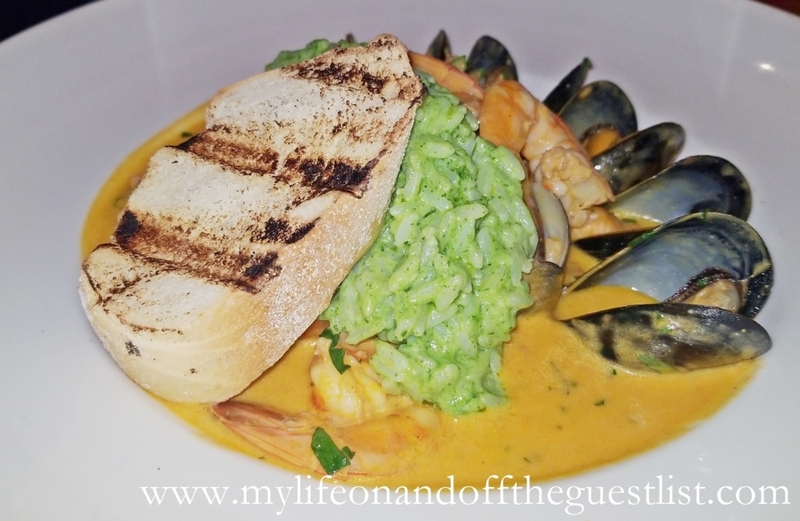 It’s a little bit of everything– mussels, squid, shrimp, white fish, bacalao, chorizo, soybeans, and green coconut rice mixed with dende oil and all cooked to perfection in a creamy curry. 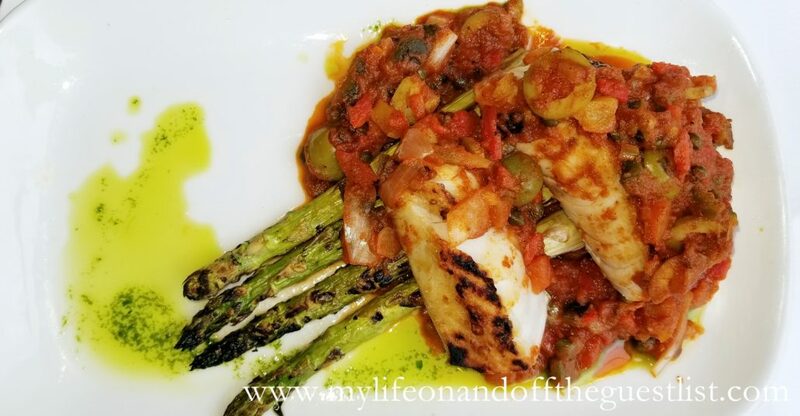 This flavorful dish is the heart of La Pulperia, seemingly simple but refined. 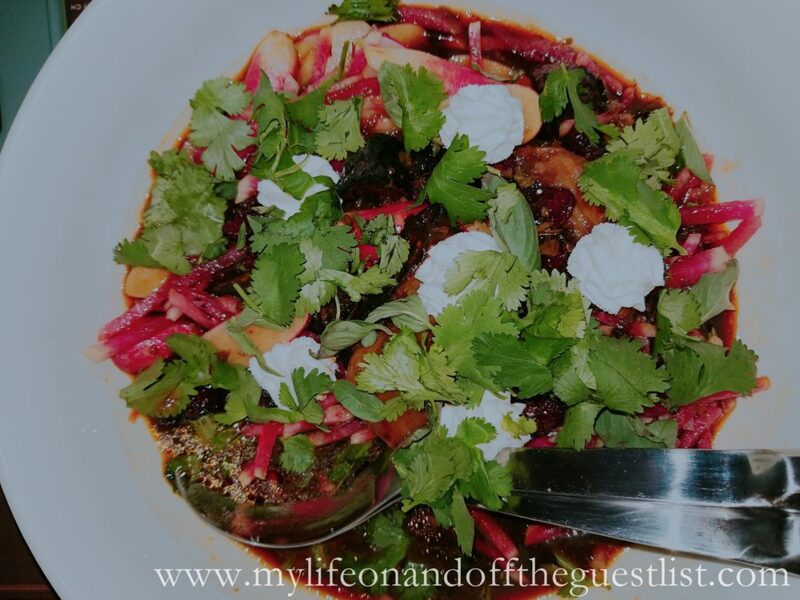 Every dip into the bowl will find your utensil of choice (be it a fork, spoon, or bread) with a generous helping of any of the main ingredients swimming in the coconut milk based curry. 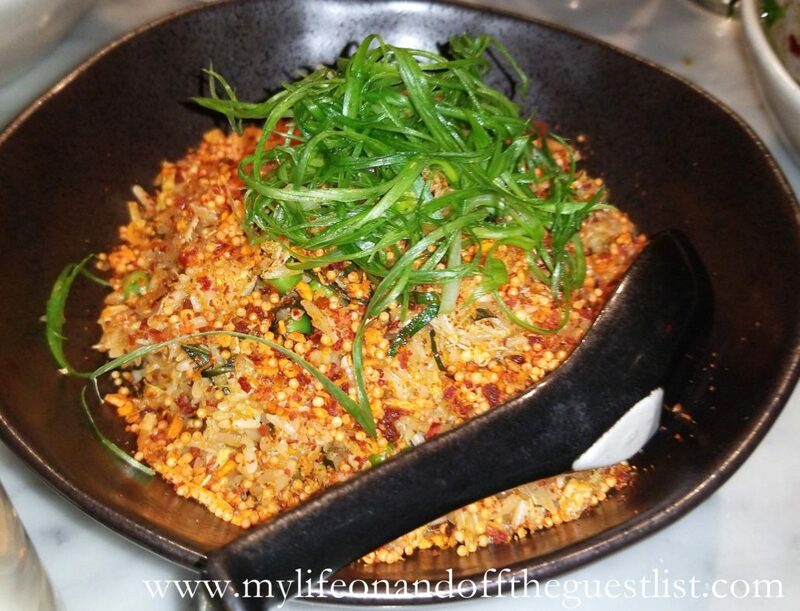 Though the green coconut rice is a side, it is very much worthy of praise all on its own. I could have eaten an entire big bowl of it. 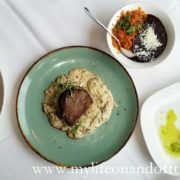 It’s the best compliment to the stew, bringing out the unique flavors of both the seafood and the chorizo. 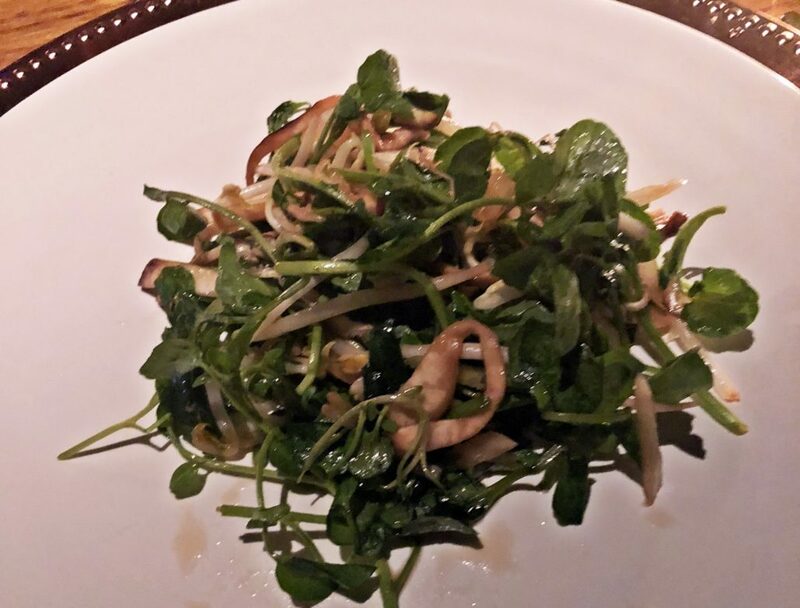 Glasgow: Since our starters were seafood, I decided to switch it up and try the La Pulperia Upper East Side 12oz Hanger Steak. 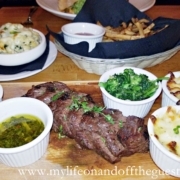 This succulent and mouthwatering steak comes with great rustic sides including spinach mac & cheese, grilled broccoli rabe, and chimichurri sauce. 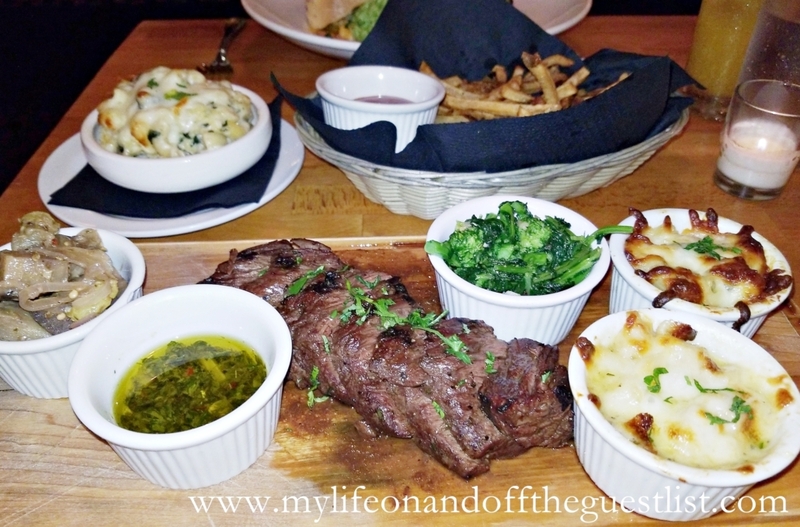 The spinach mac & cheese was so amazing we ordered another and paired it with a side of french fries. 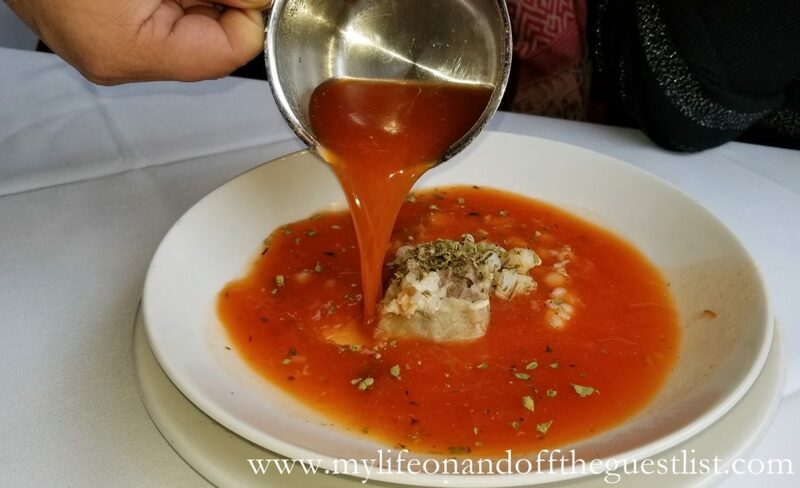 Every bite a foodie’s dream. 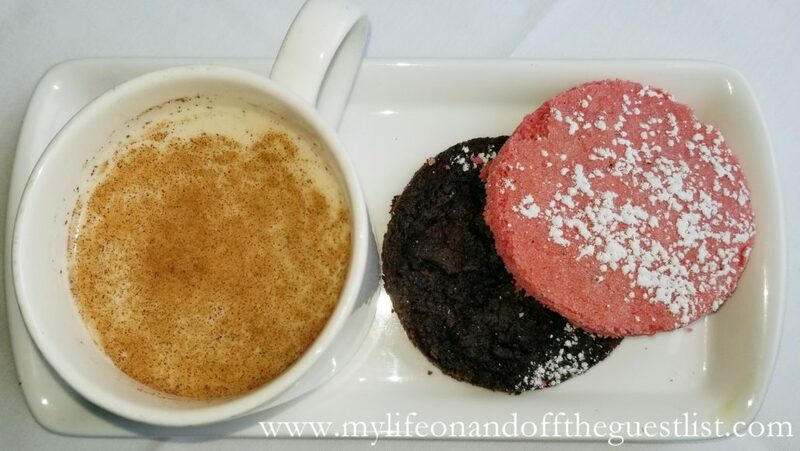 The variety of aromas, flavors, and textures tantalizes and hypnotizes you before even taking a bite and I happily surrendered. 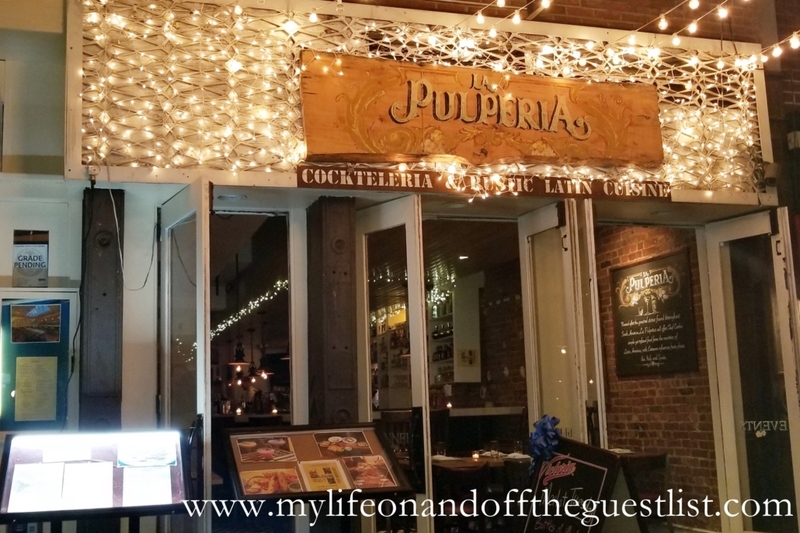 Much like the Hell’s Kitchen location, our experience of La Pulperia Upper East Side was a dream. 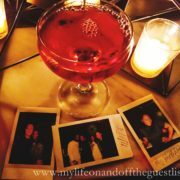 From the ambiance, staff, cocktails, and food. 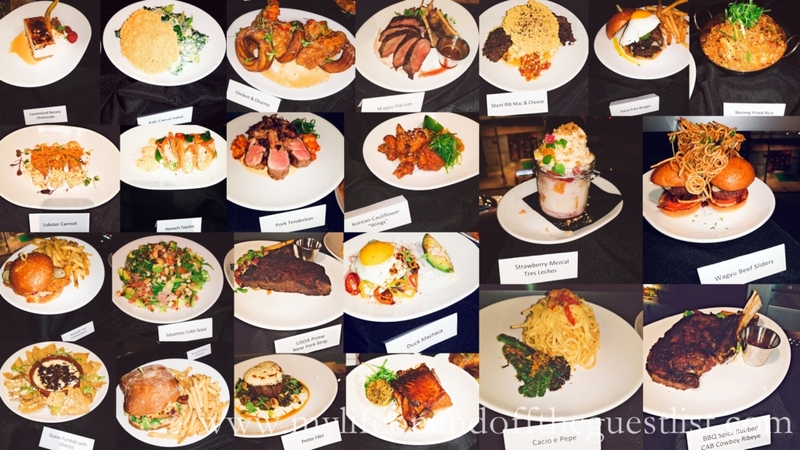 We were in culinary heaven from start to finish. 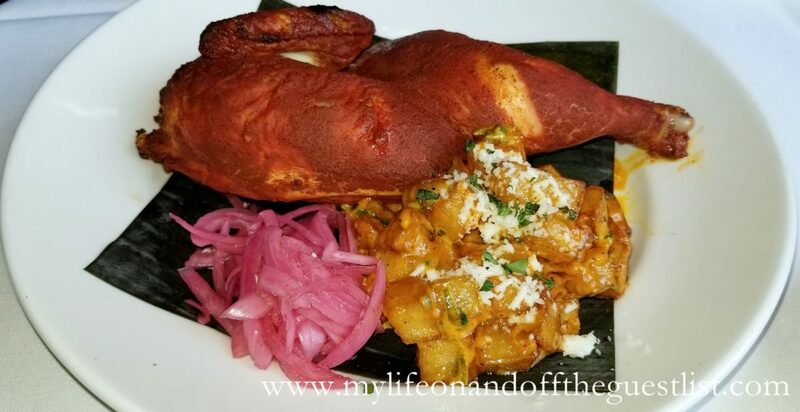 We highly recommend treating yourself to this great rustic Latin restaurant.